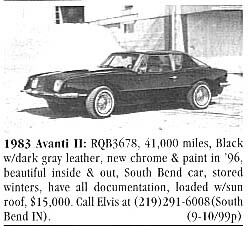 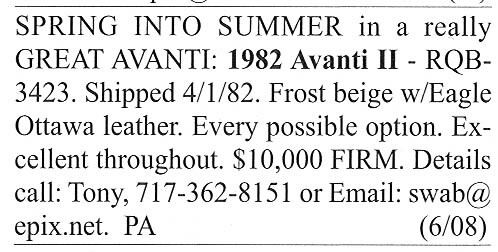 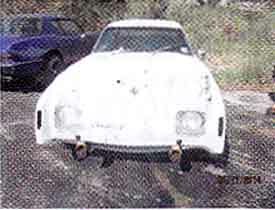 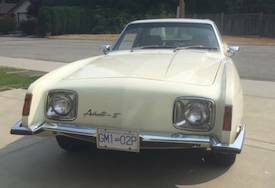 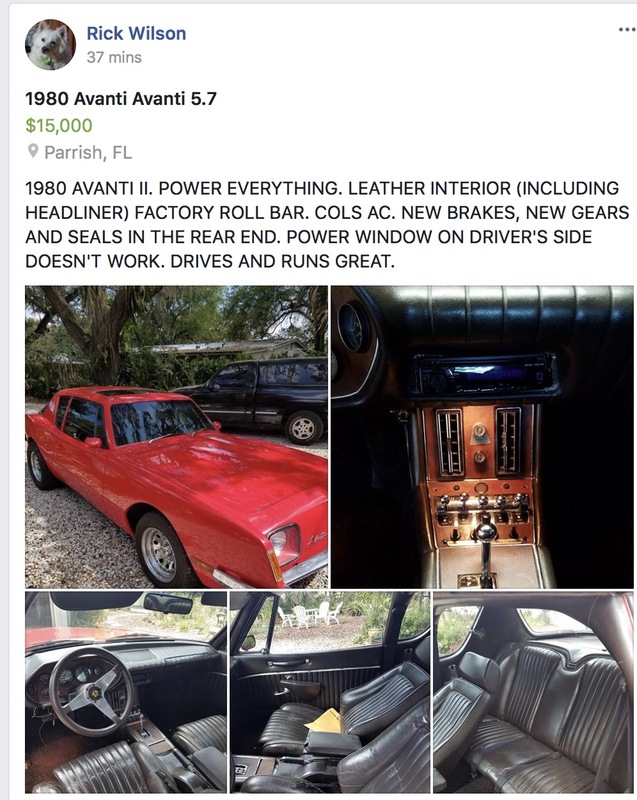 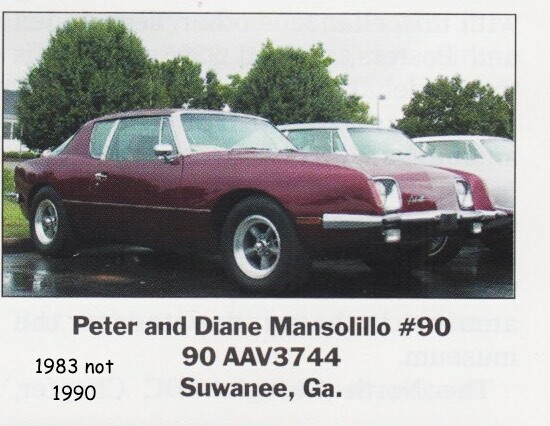 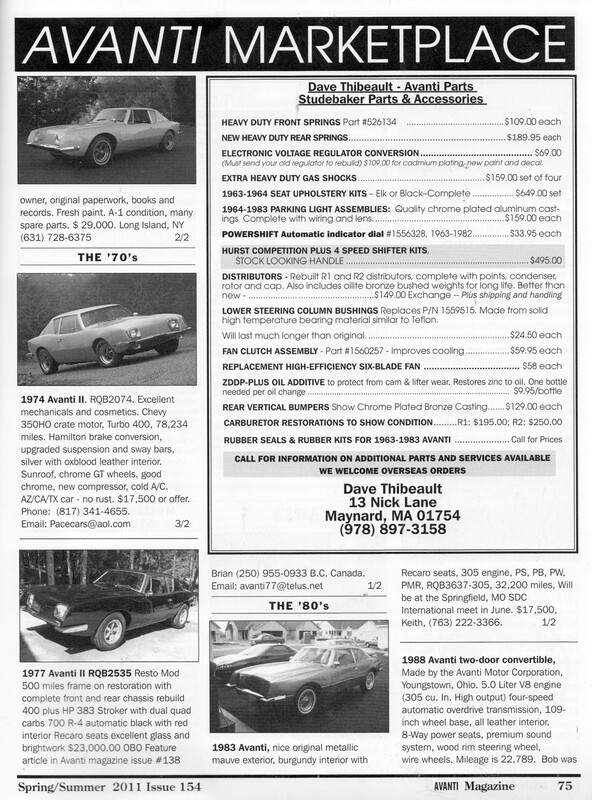 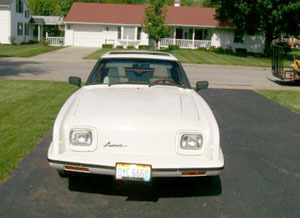 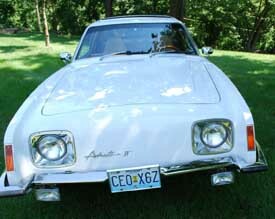 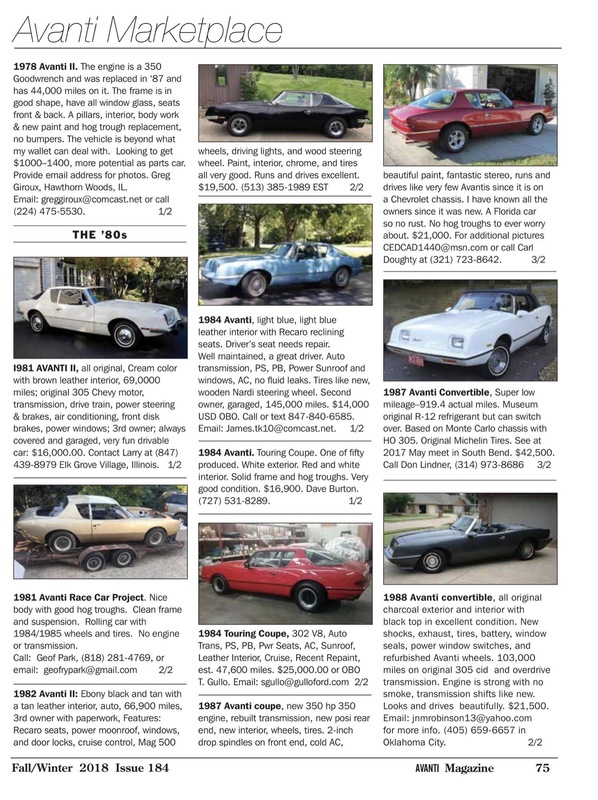 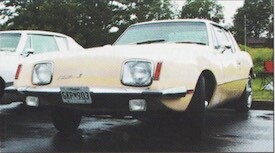 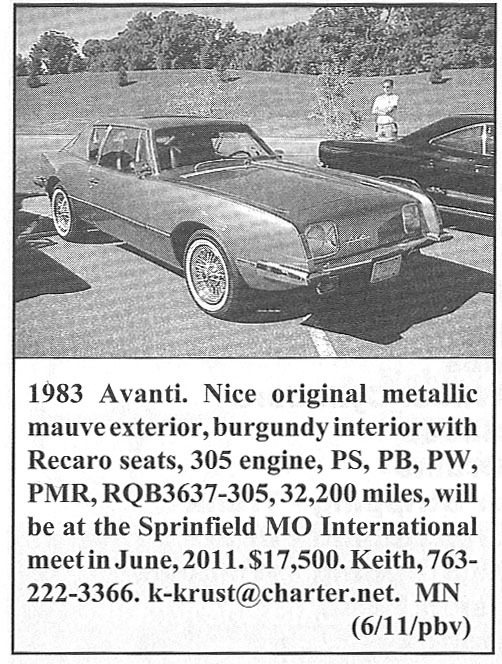 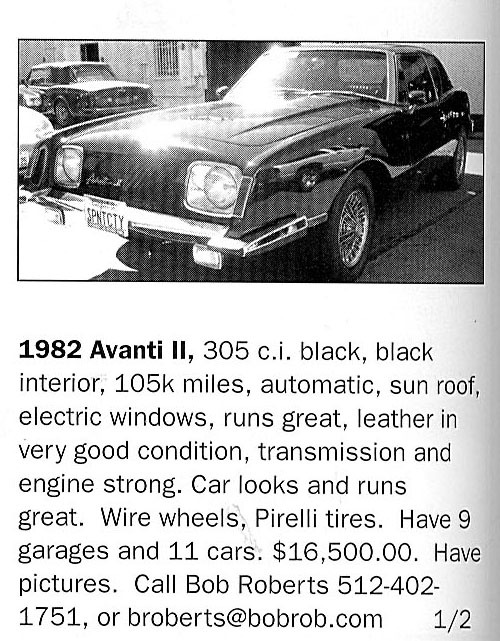 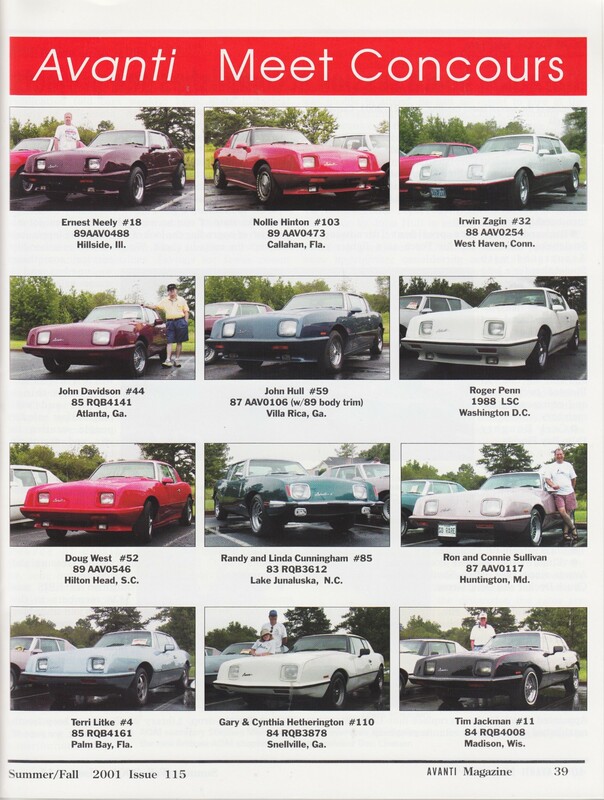 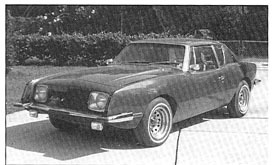 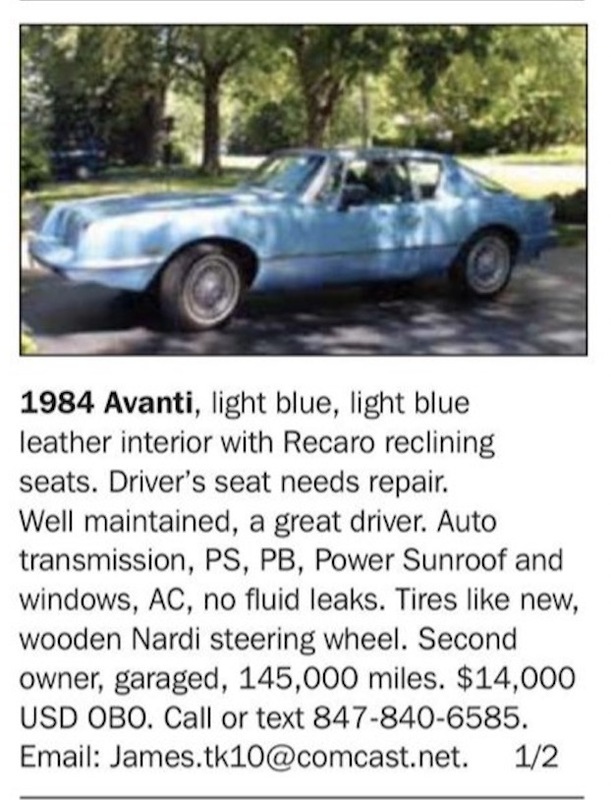 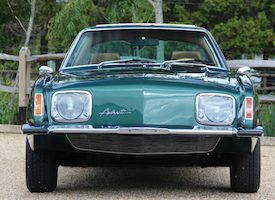 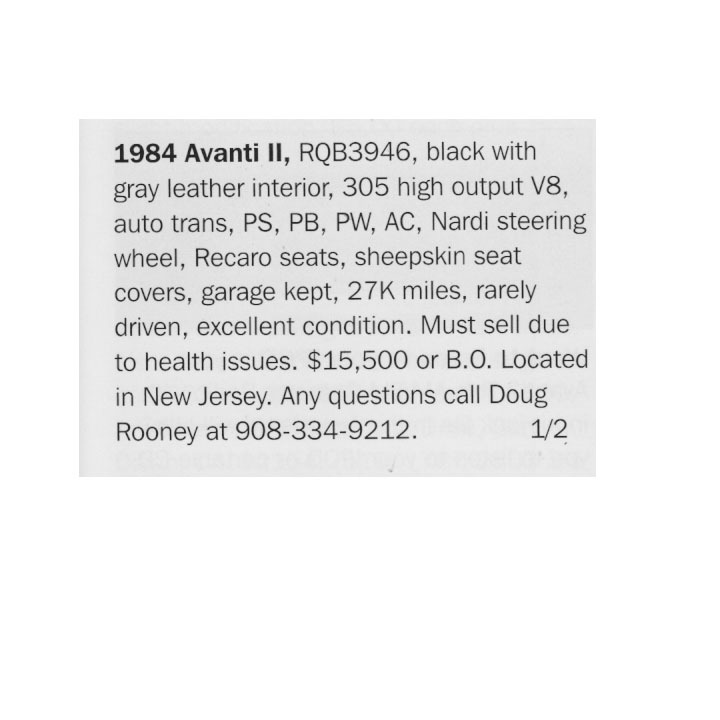 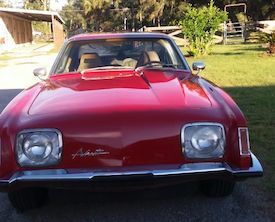 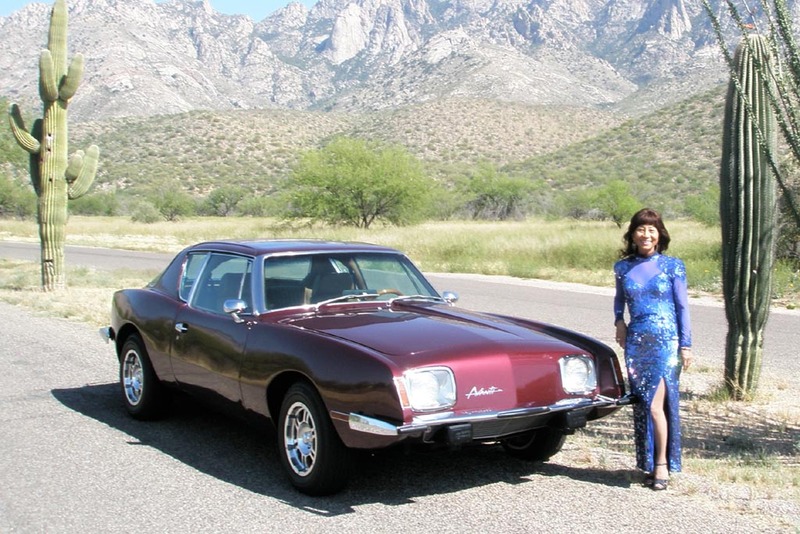 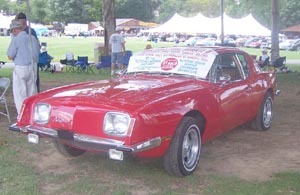 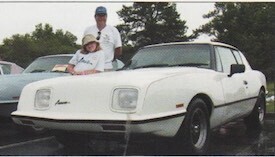 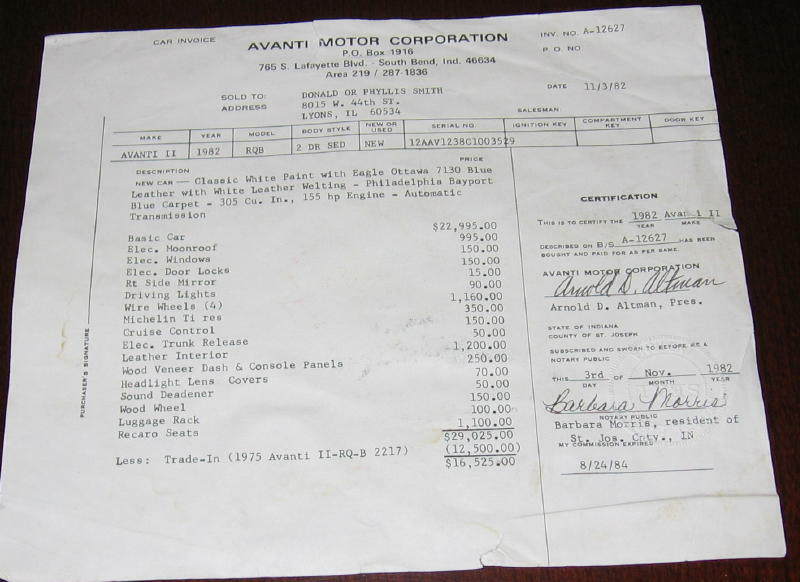 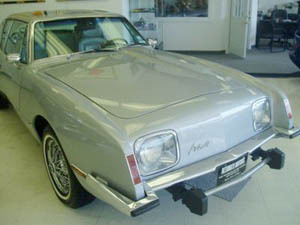 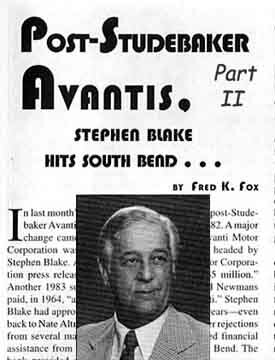 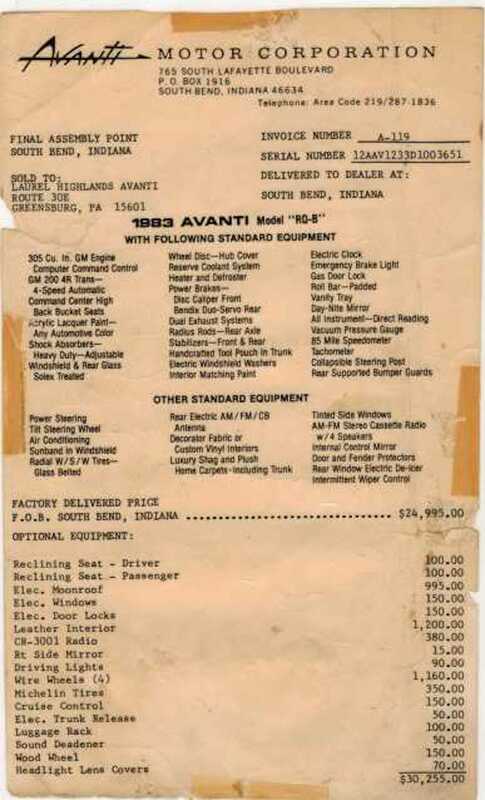 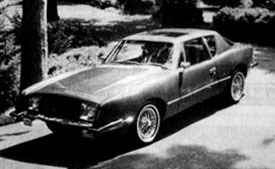 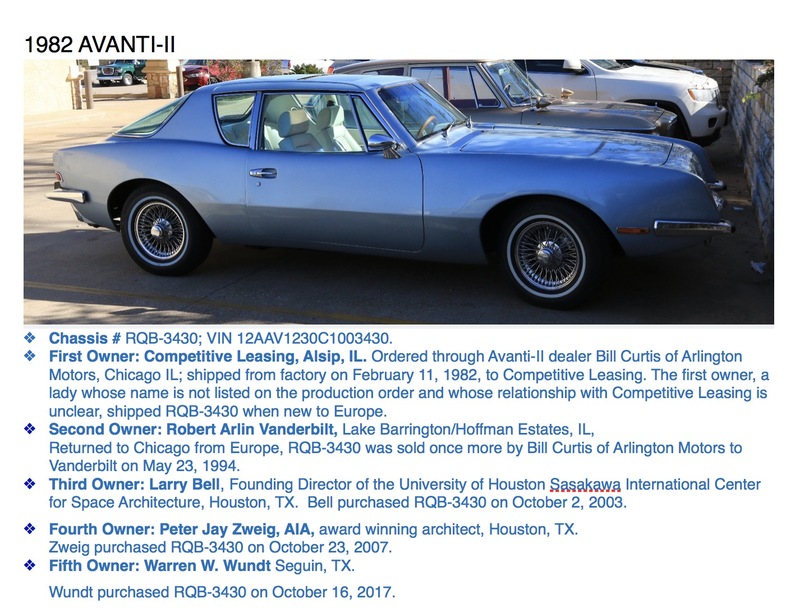 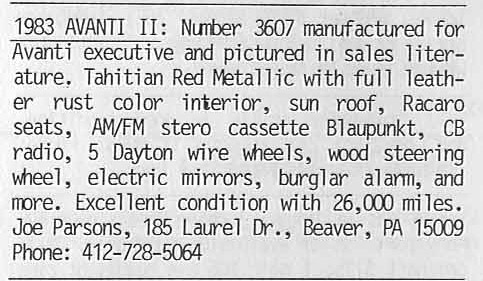 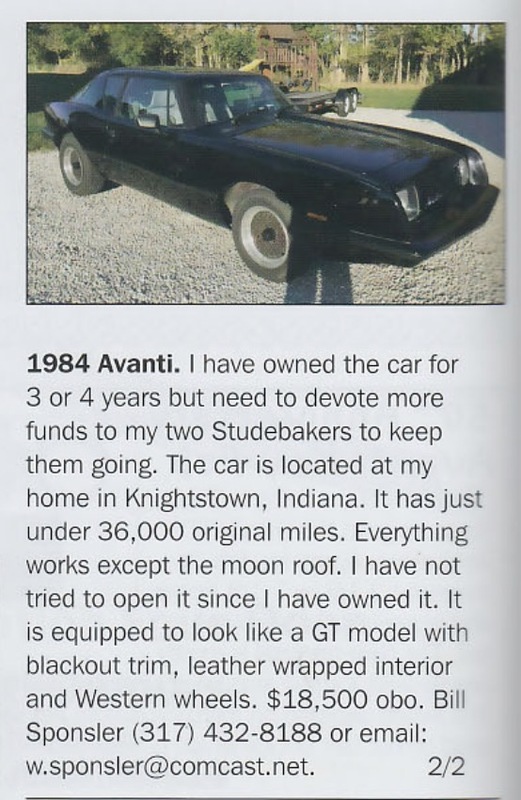 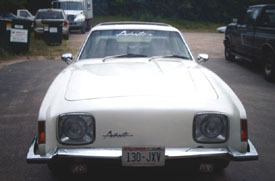 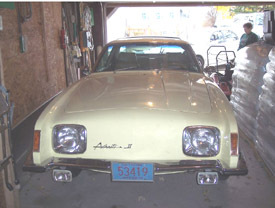 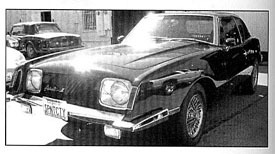 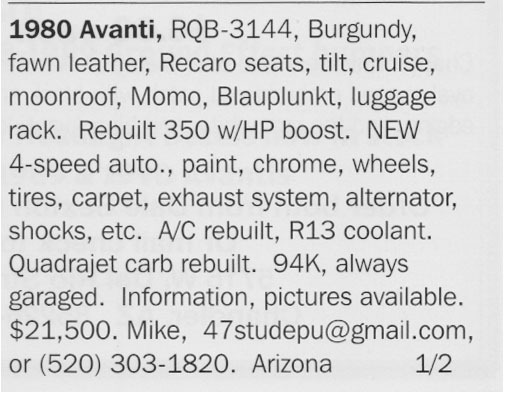 A partial catalog of owners of the Avanti II Automobile. 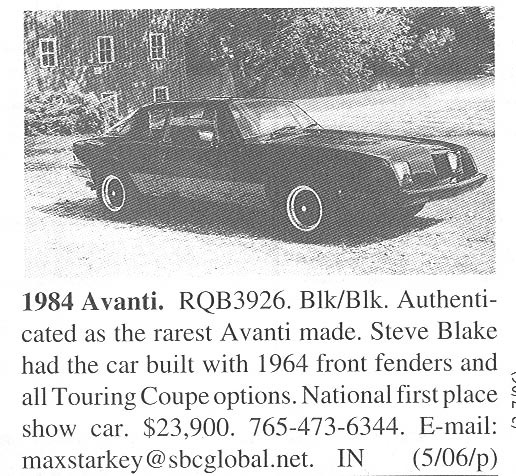 Included are members of the Avanti Chat group and other interested parties. 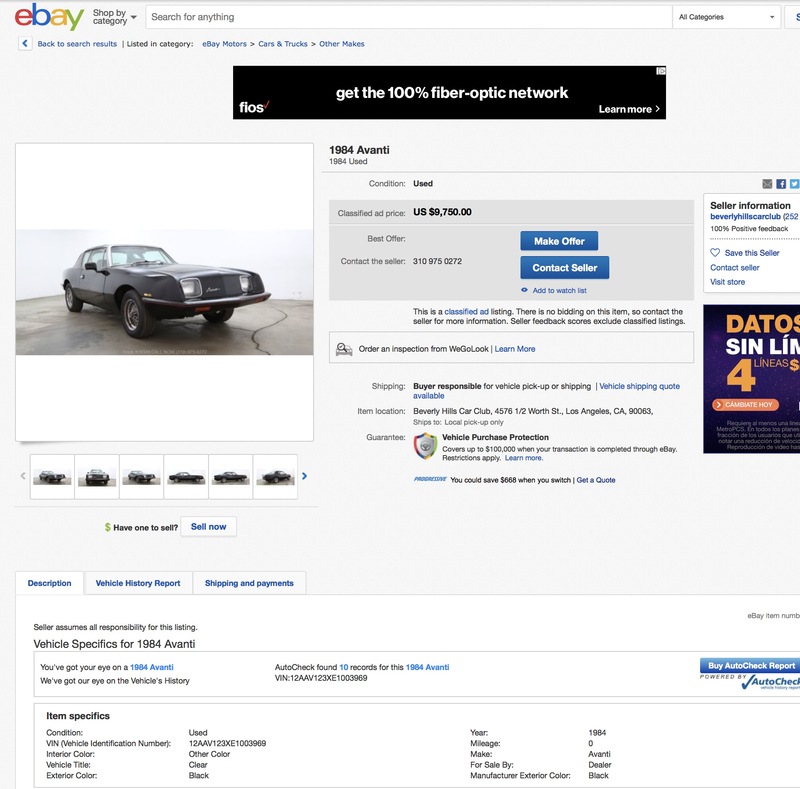 Many Ebay passthroughs. 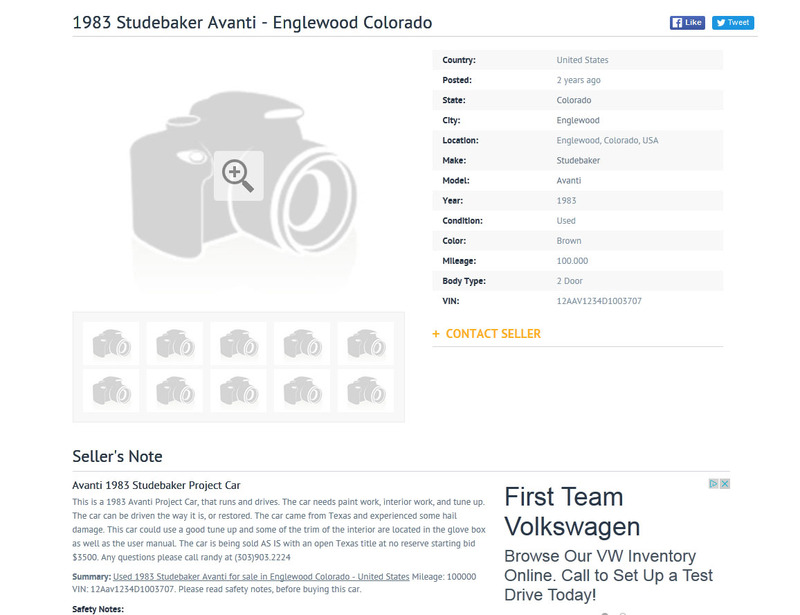 No addresses or phone numbers are shown to protect privacy. 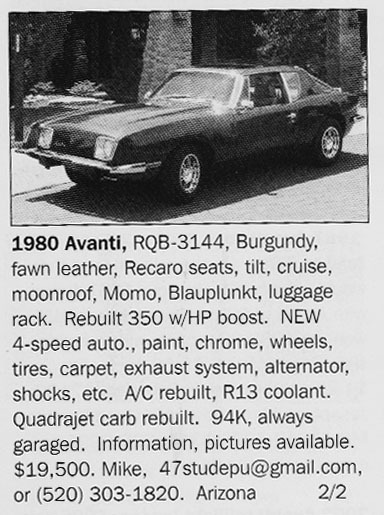 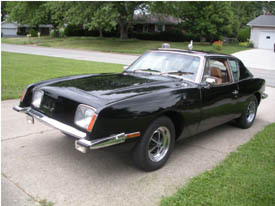 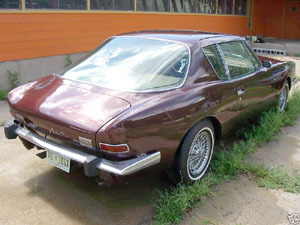 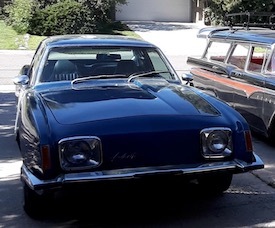 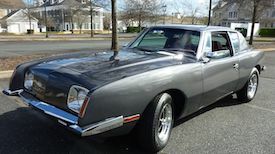 In early 1970, due to upgrades, the car designation went from RQA-xxxx to RQB-xxxx and the most prominent improvement were the high back seats. 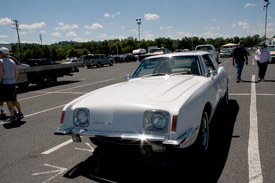 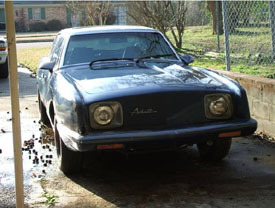 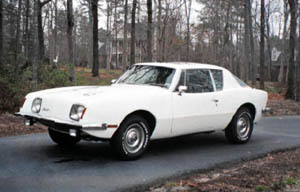 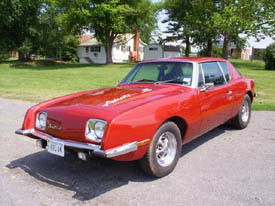 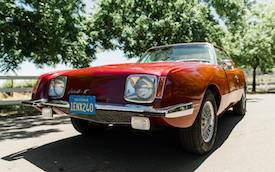 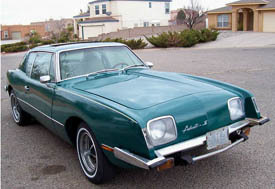 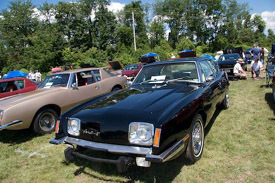 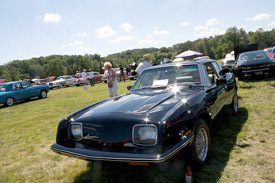 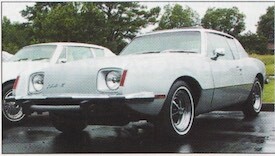 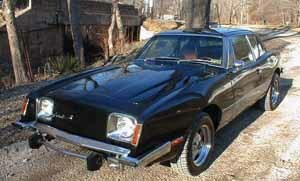 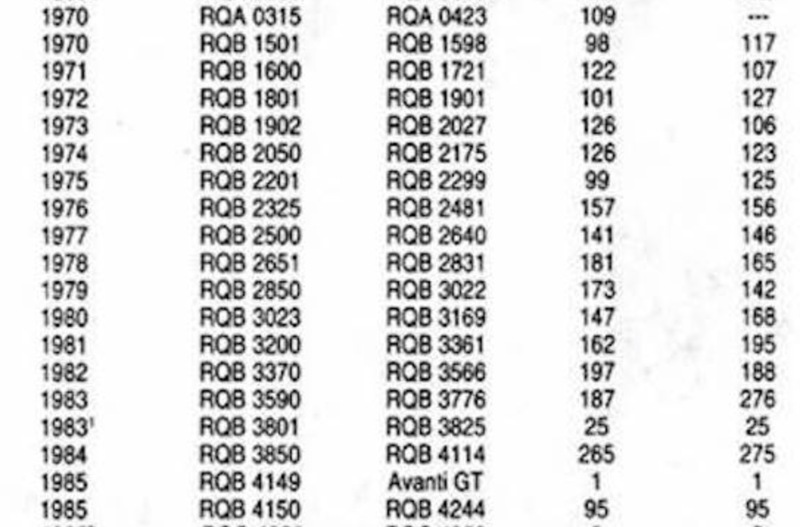 In 1970, there were only 5 cars designated as "RQA" models. 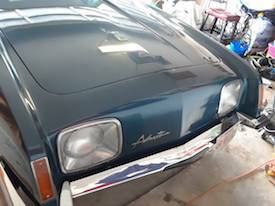 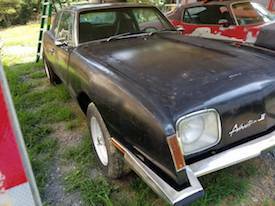 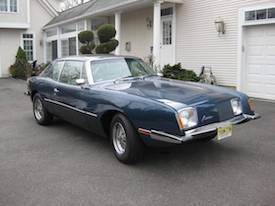 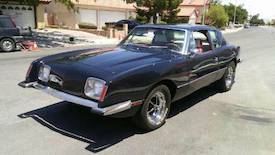 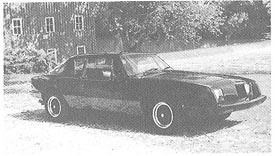 Other changes were in the interior appointments, the rear brakes went to the GM self adjusting, self energizing type, with Chrysler drums. 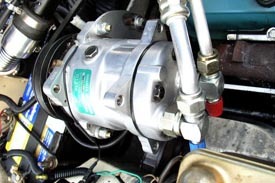 The factory never opted to install a proportioning valve with the new rear brakes and the left rear will occasionally lockup under a hard stop. 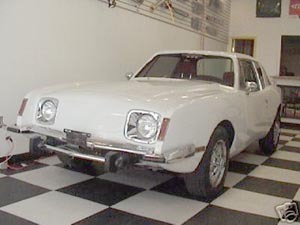 The transmission, initially, went from the FMX type to a Turbo350. 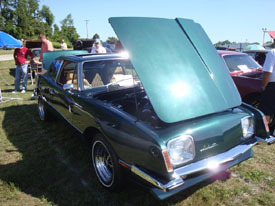 Sunroofs were introduced. 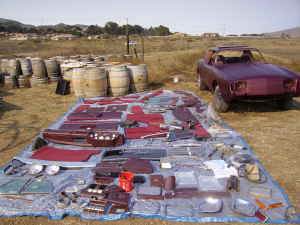 These were originally of German manufacture and can still be repaired by specific shops. 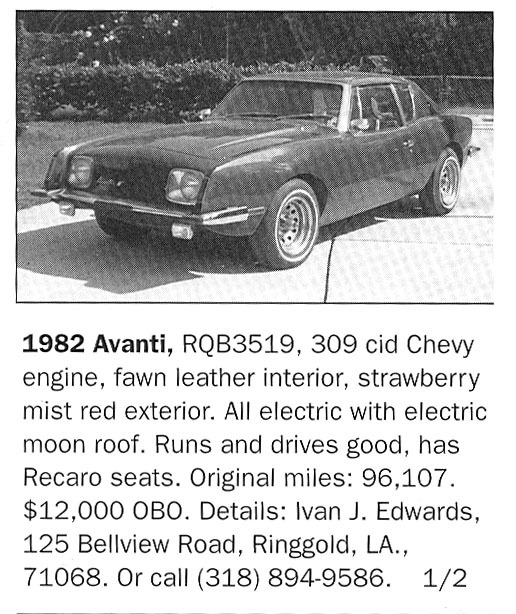 In addition to the Recaro seats and rich leather upholstery, the cars were made to adhere to the emissions standards. 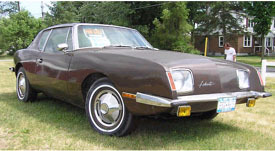 The resulting power in the early 70's was reduced to a mere whimper of the original. 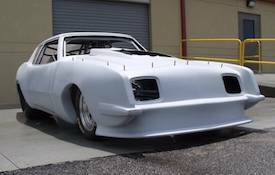 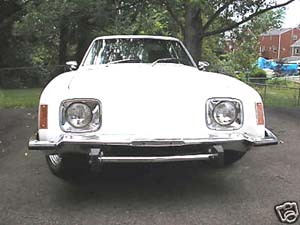 Bumpers remained steel, but for a short period, additional protection systems were added to comply with crash-worthiness requirements. 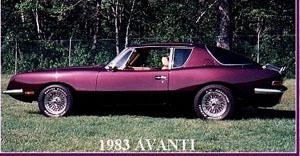 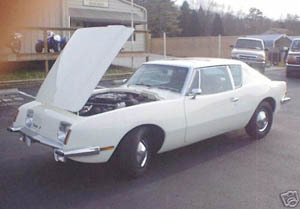 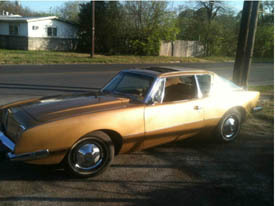 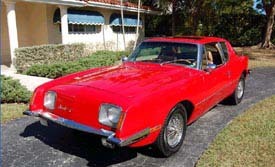 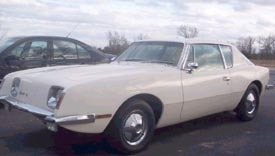 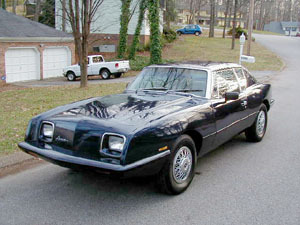 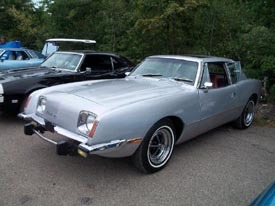 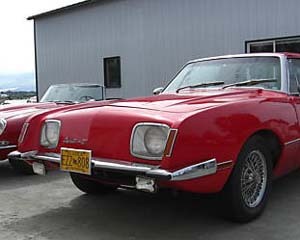 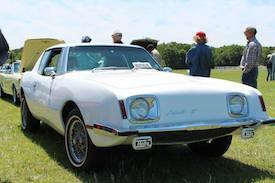 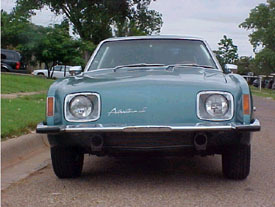 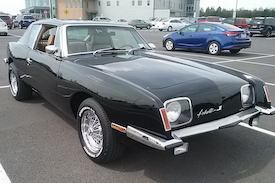 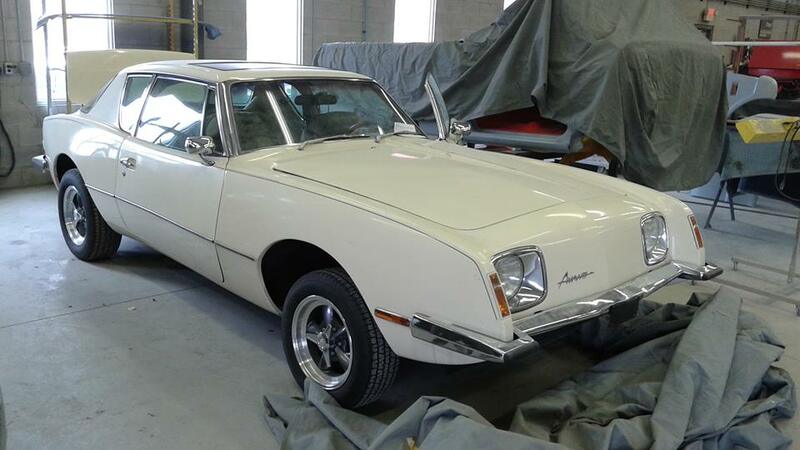 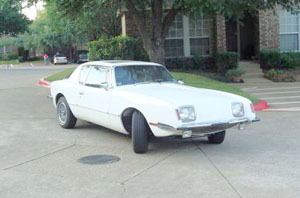 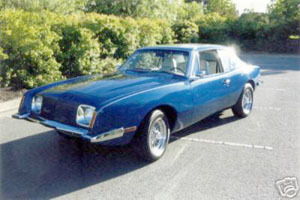 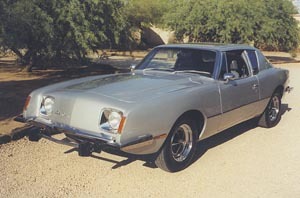 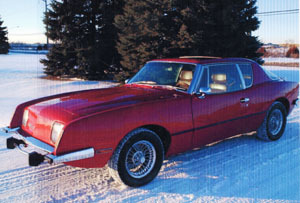 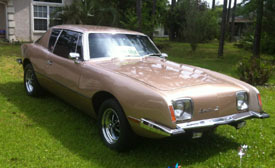 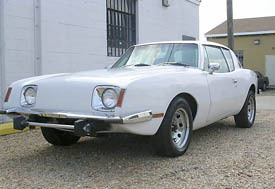 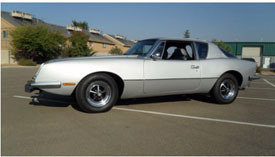 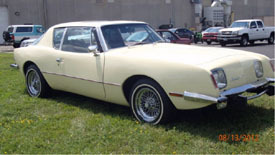 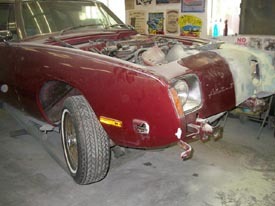 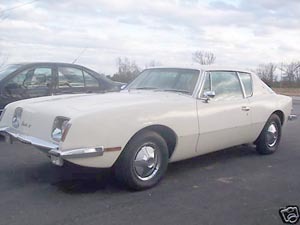 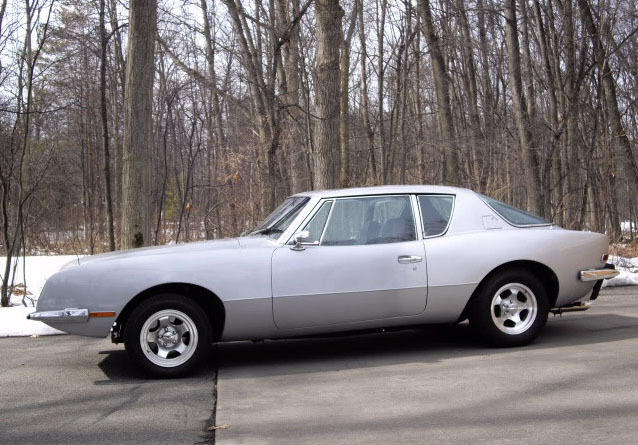 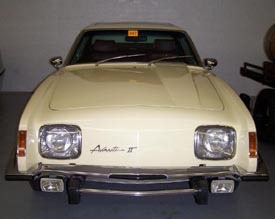 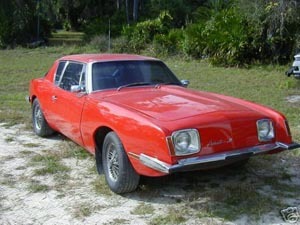 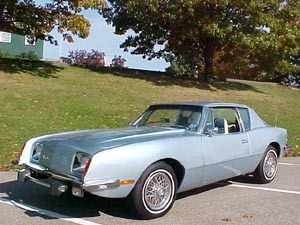 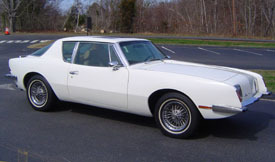 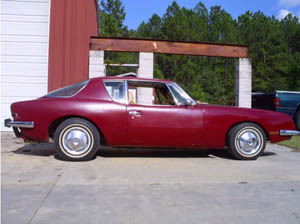 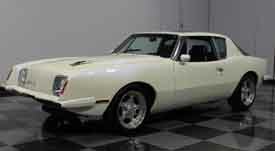 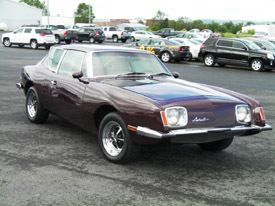 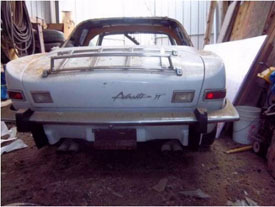 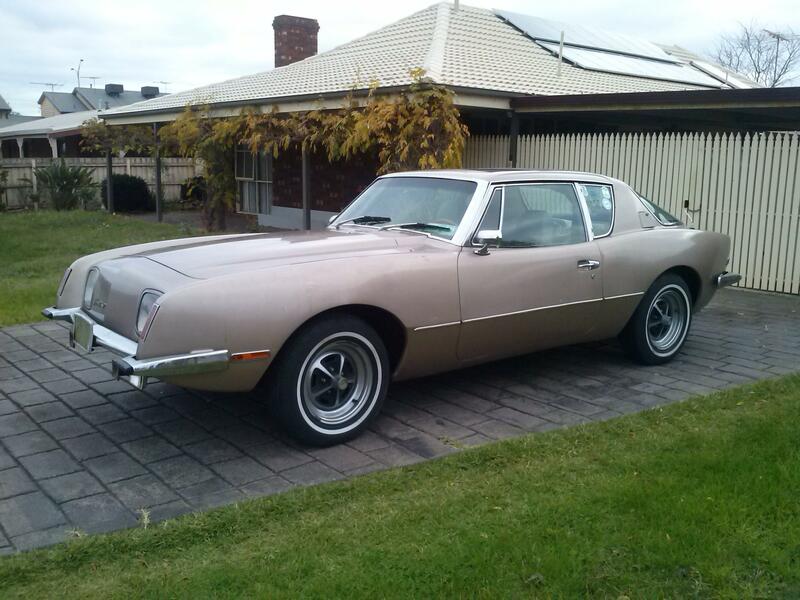 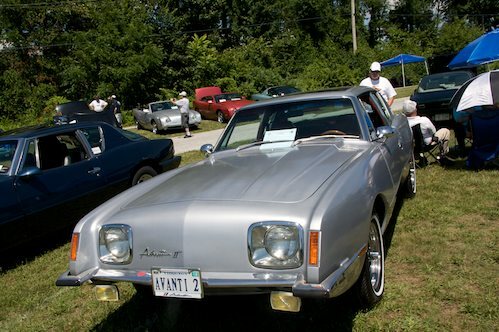 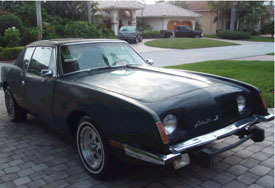 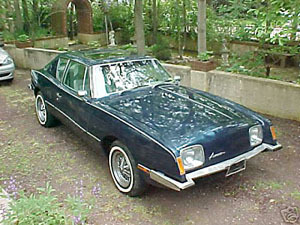 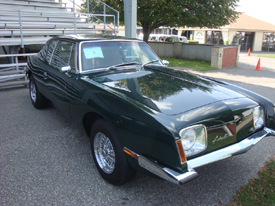 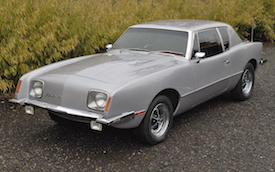 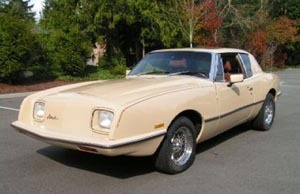 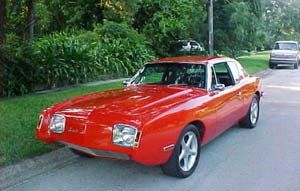 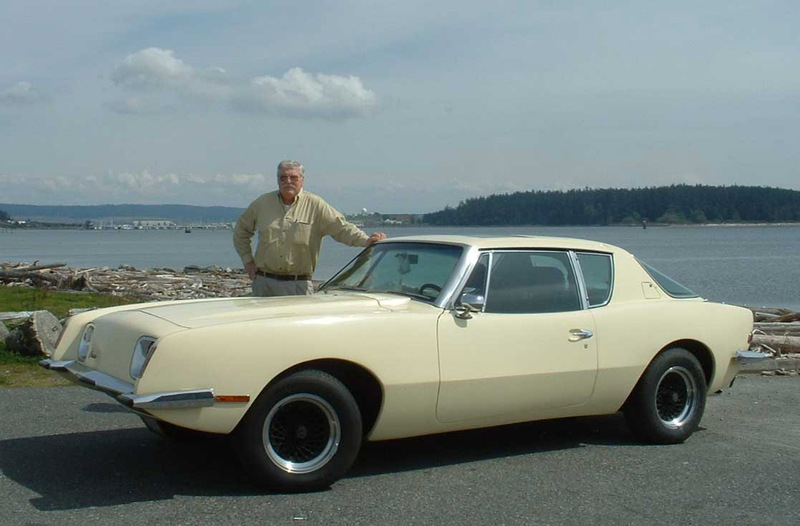 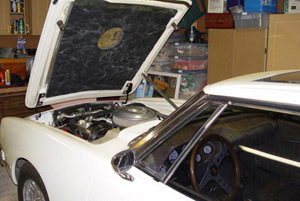 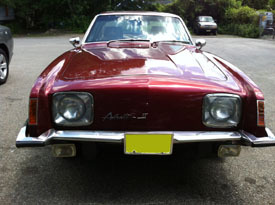 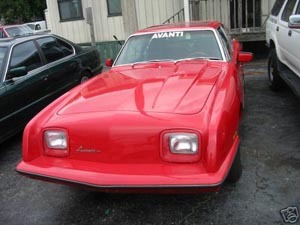 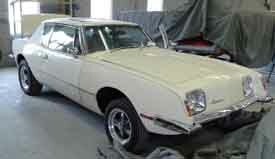 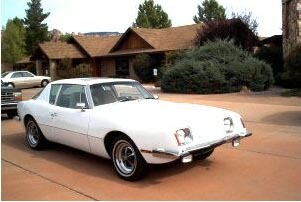 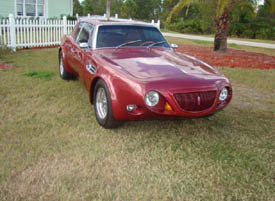 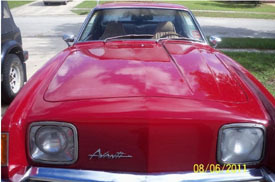 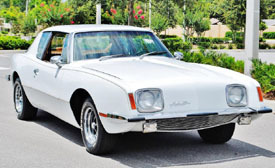 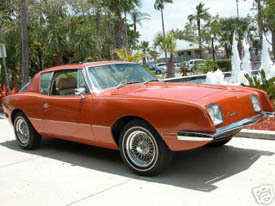 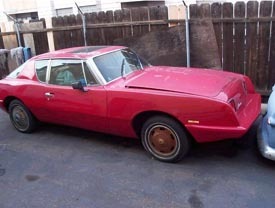 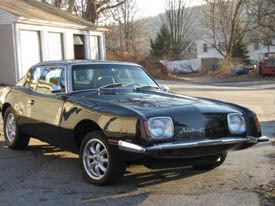 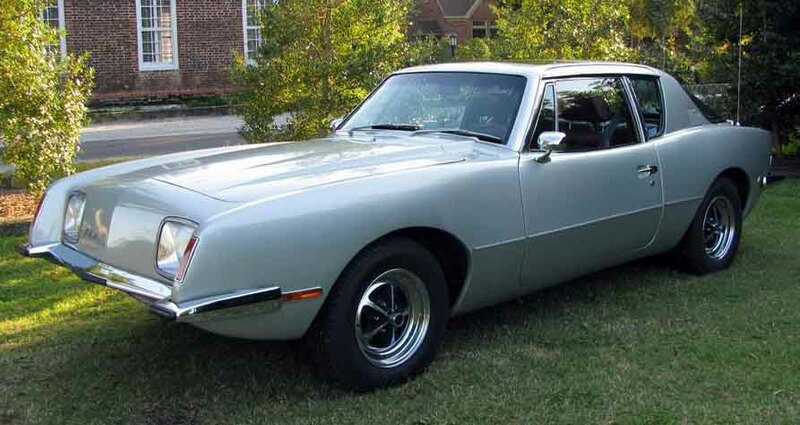 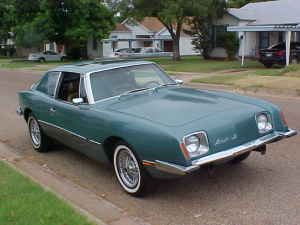 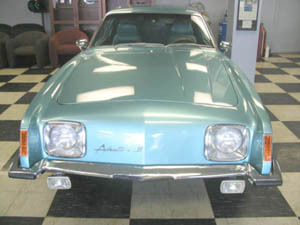 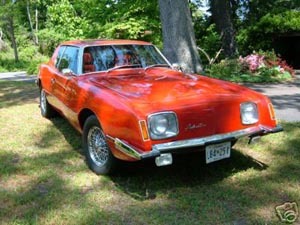 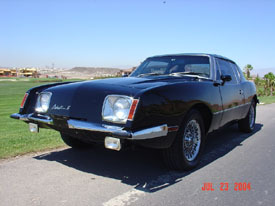 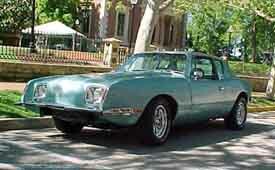 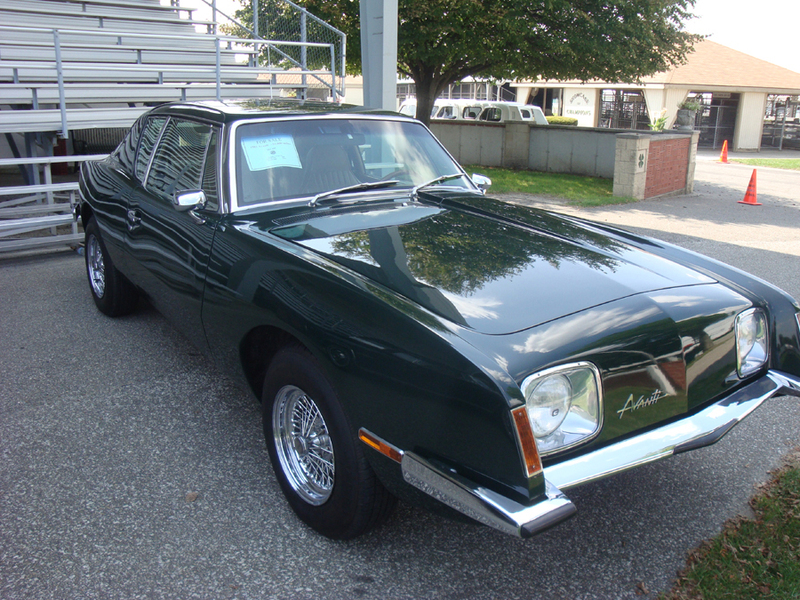 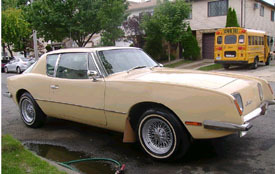 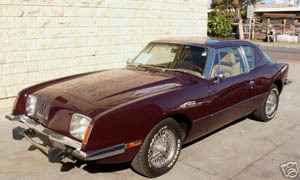 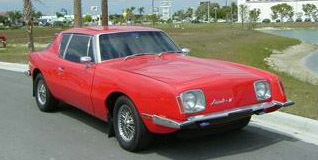 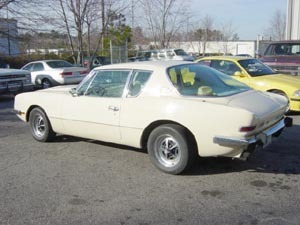 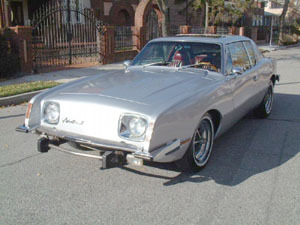 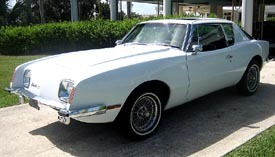 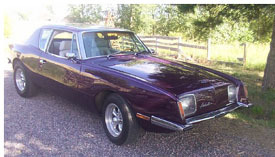 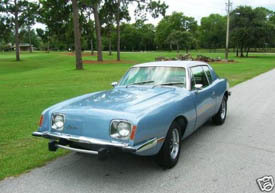 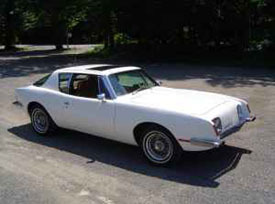 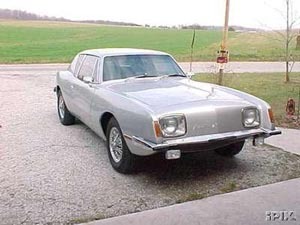 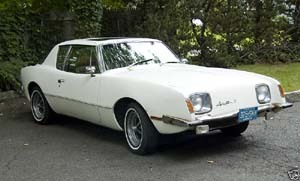 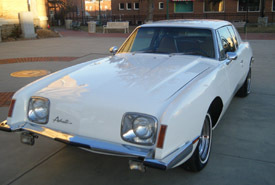 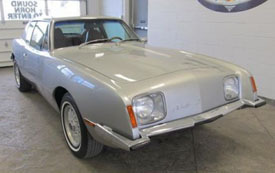 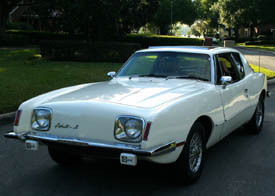 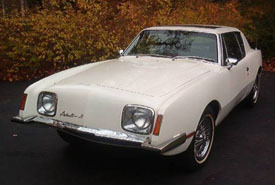 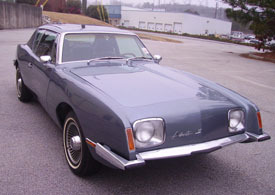 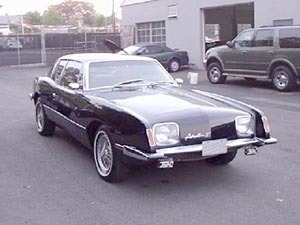 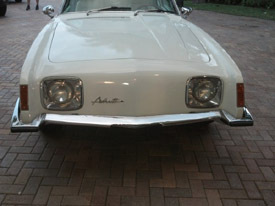 The bodies were subtly refined and improved by the Avanti craftsmen. 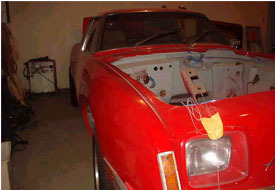 Closing in on 1983, it was evident that a chassis renovation was required to continue producton. 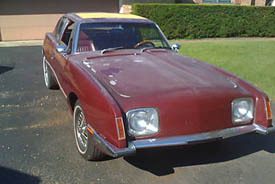 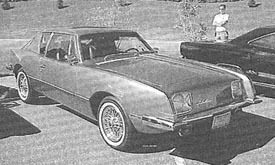 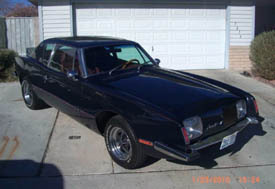 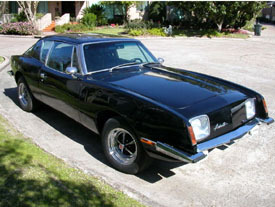 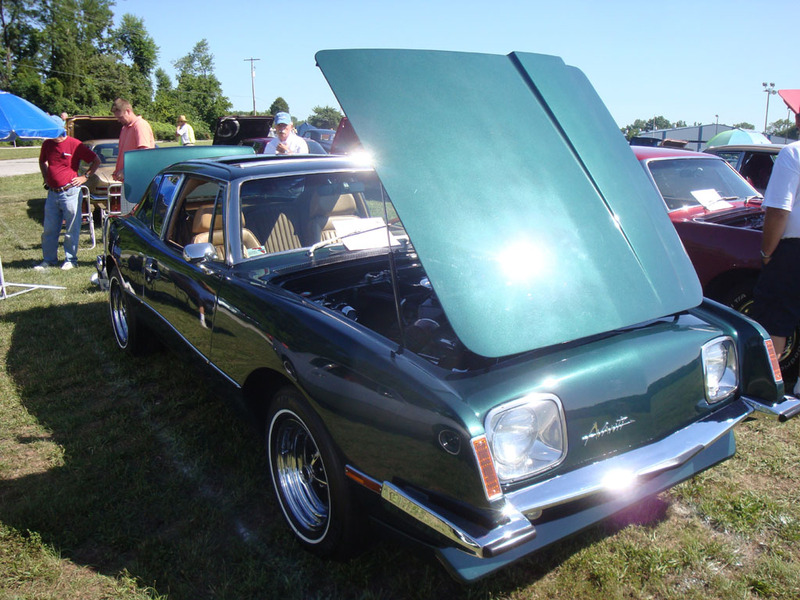 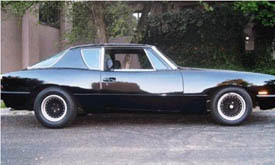 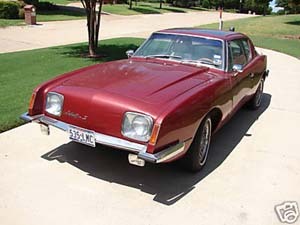 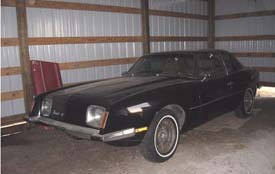 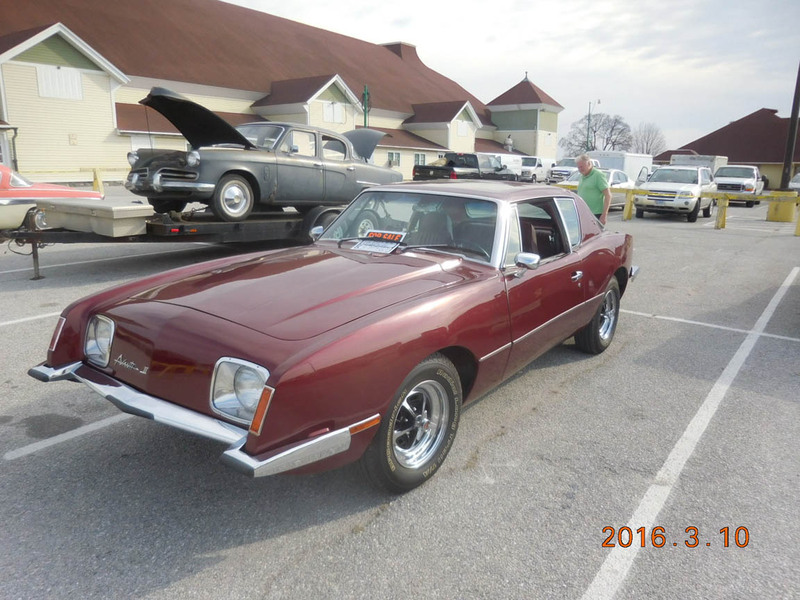 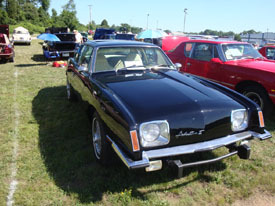 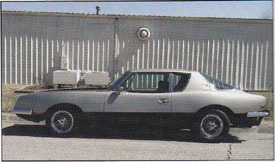 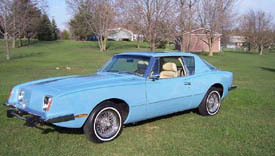 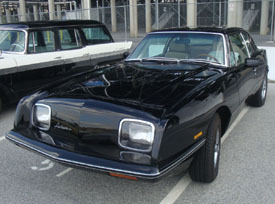 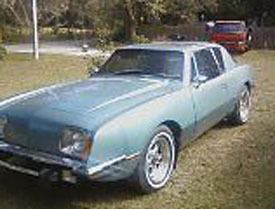 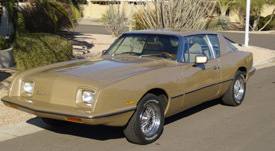 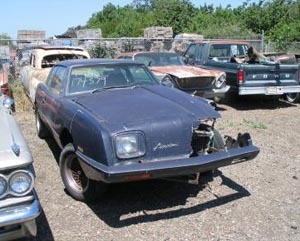 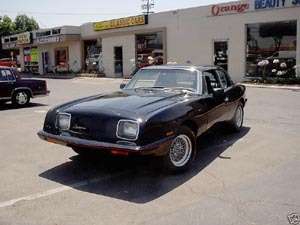 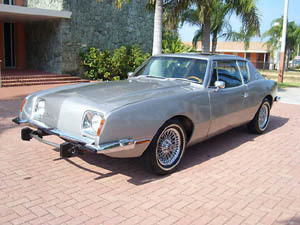 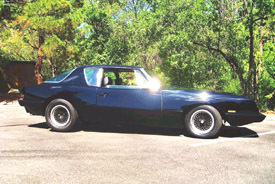 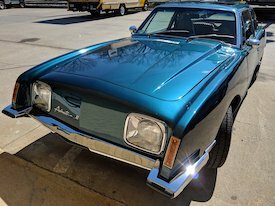 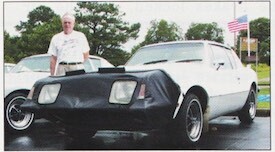 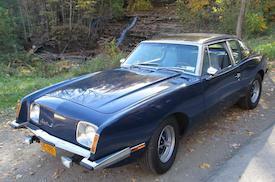 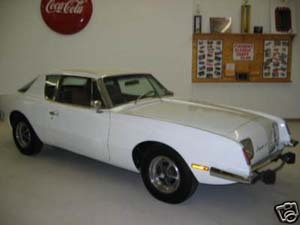 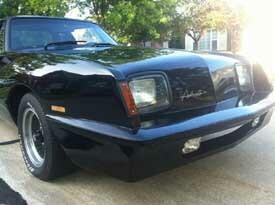 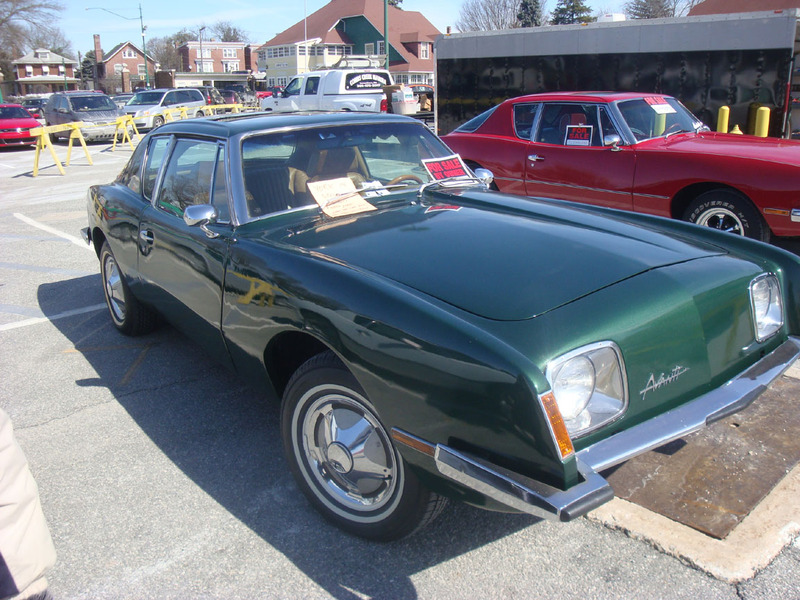 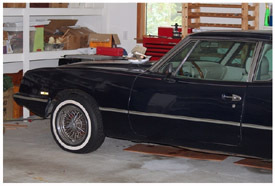 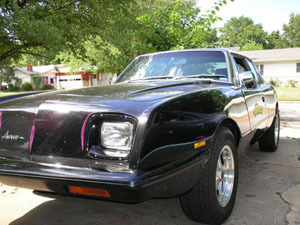 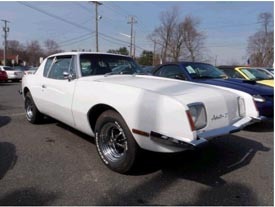 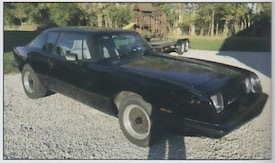 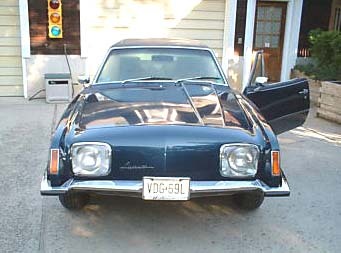 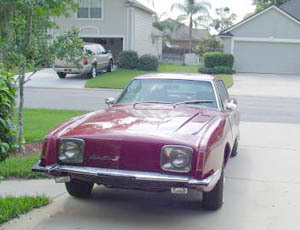 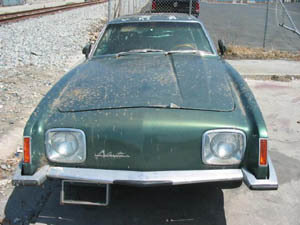 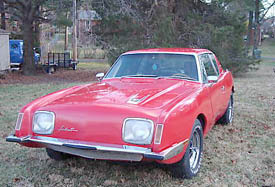 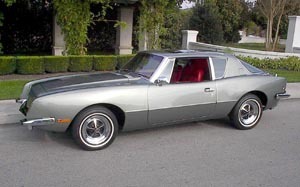 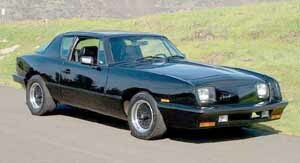 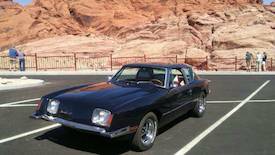 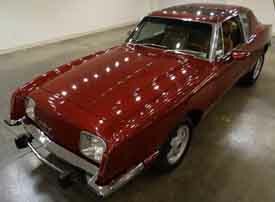 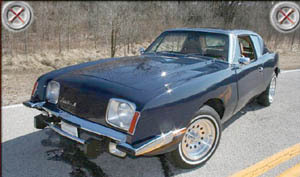 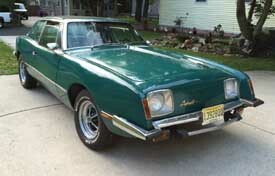 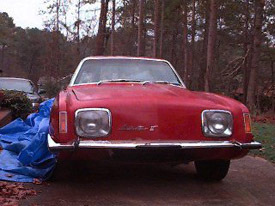 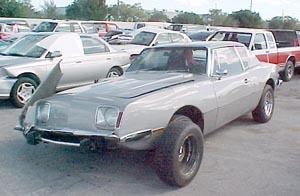 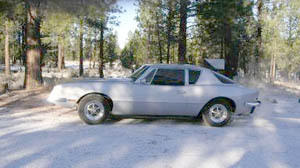 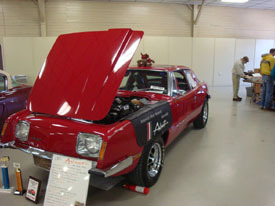 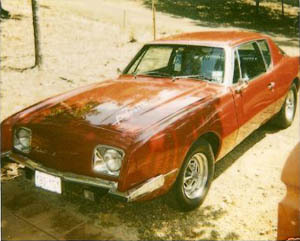 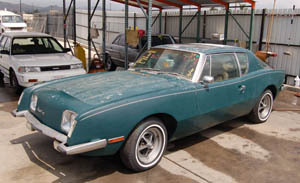 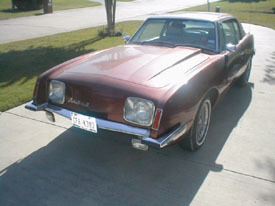 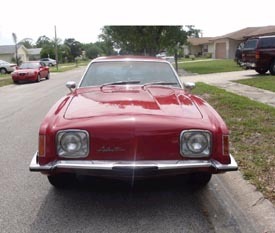 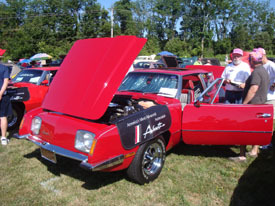 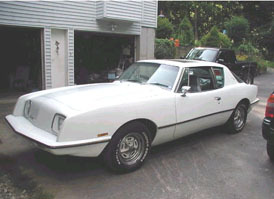 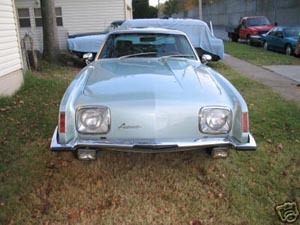 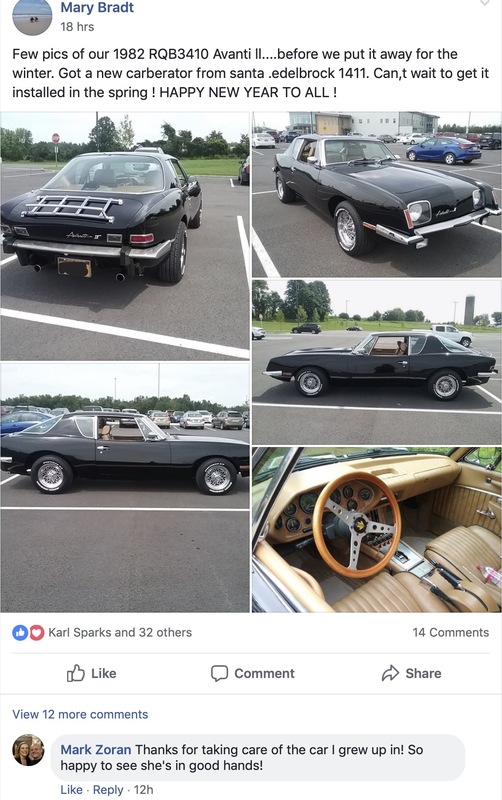 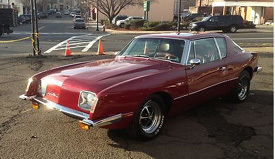 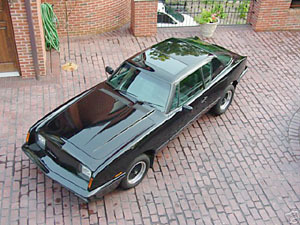 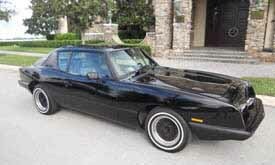 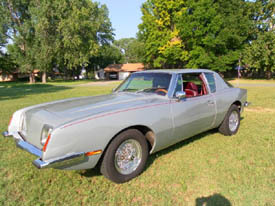 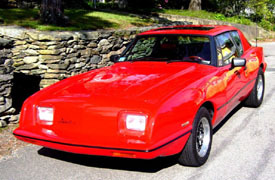 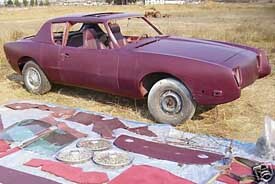 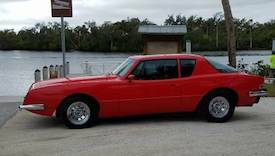 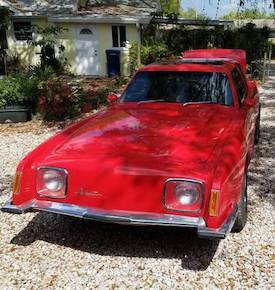 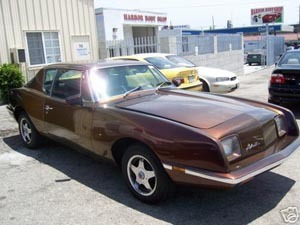 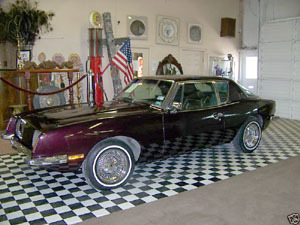 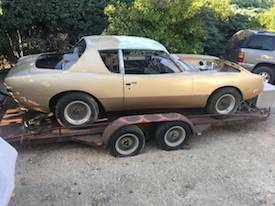 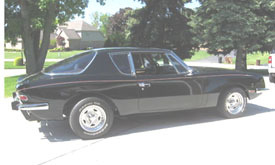 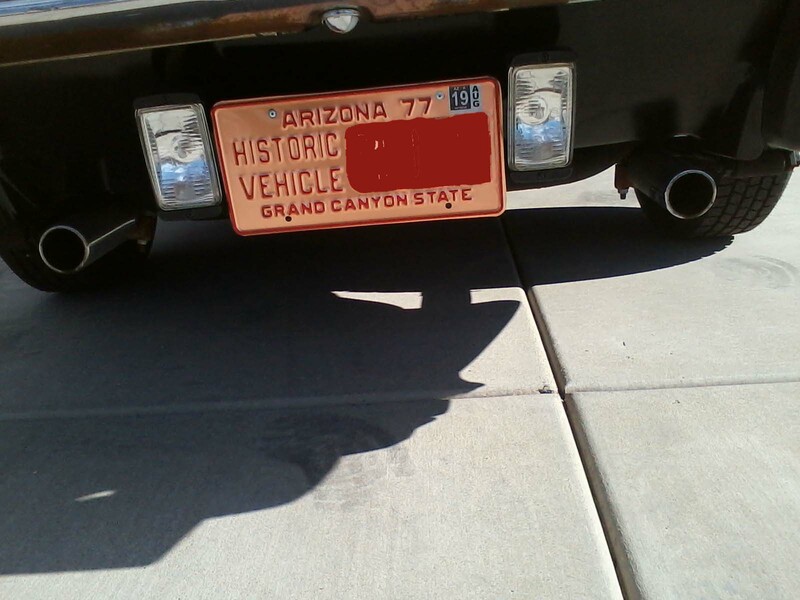 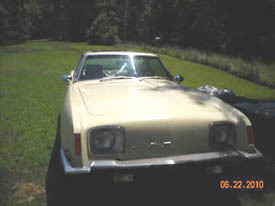 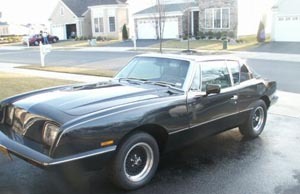 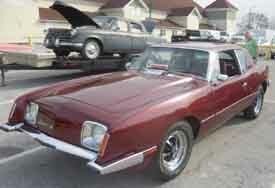 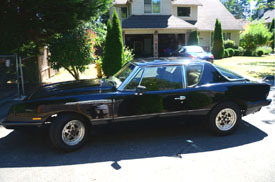 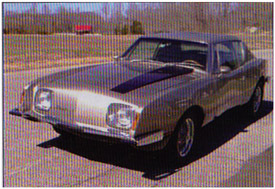 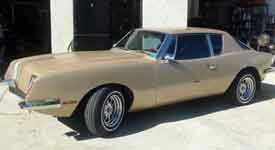 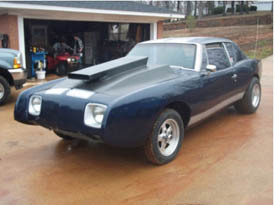 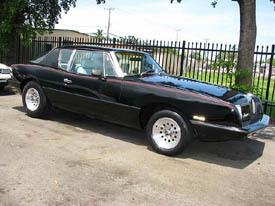 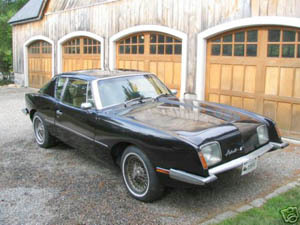 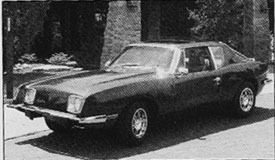 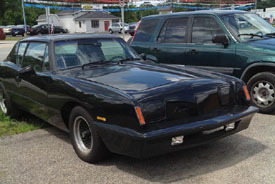 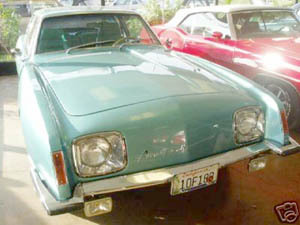 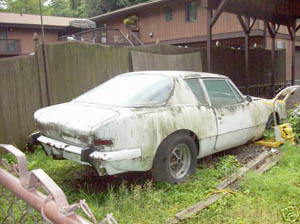 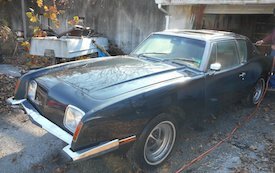 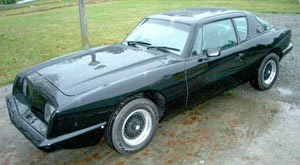 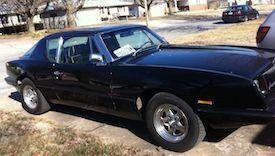 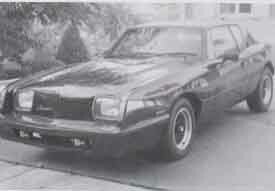 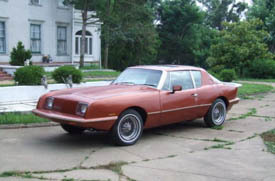 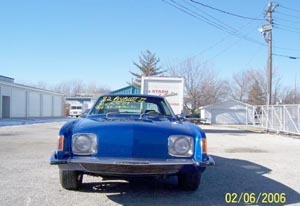 The choice of the renaissance, was the GM Monte Carlo/El Camino chassis. 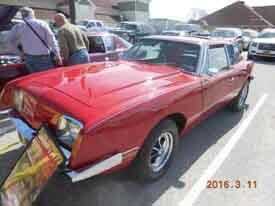 RQB-3022 - Liebhard Eddy - Heilbron, Germany - Since 2014 - Ref . .
RQB-3050 - Robert Peel, Sherwood Park, Alberta, Canada. 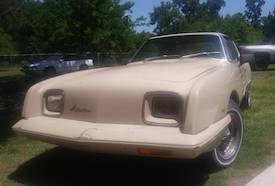 (Wasjunk) - AOAI Forum - July 2017 Ref . 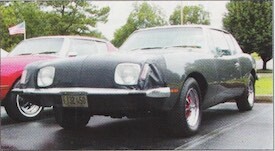 Erik Kaufman, White Hall, MD. 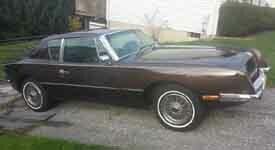 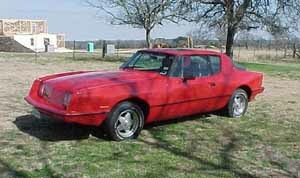 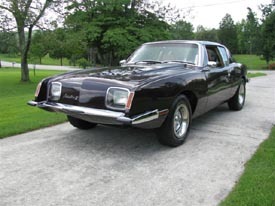 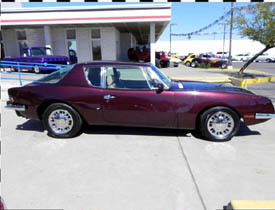 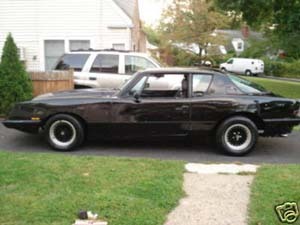 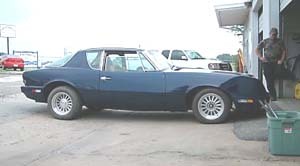 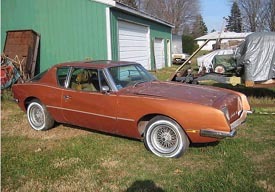 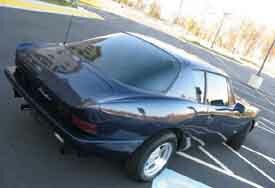 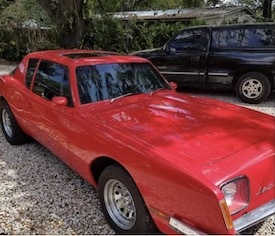 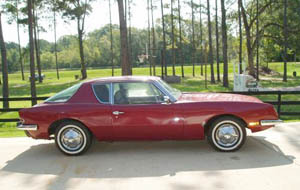 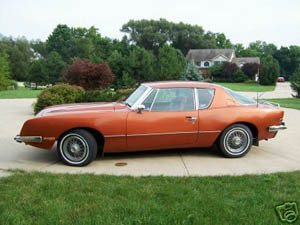 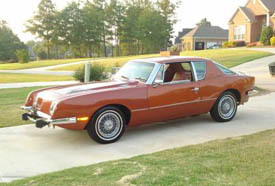 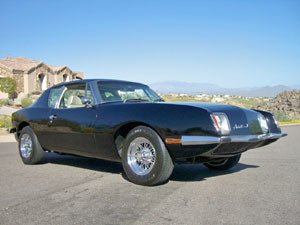 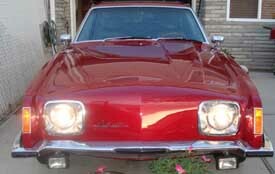 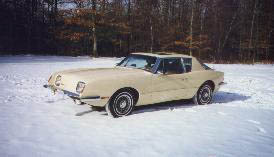 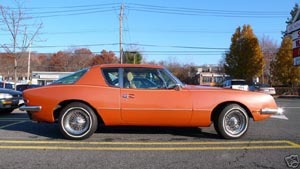 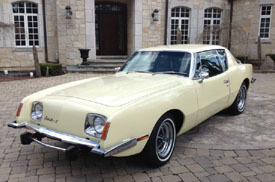 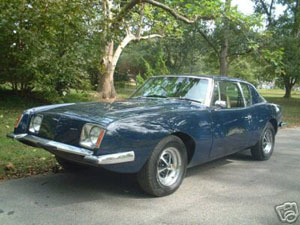 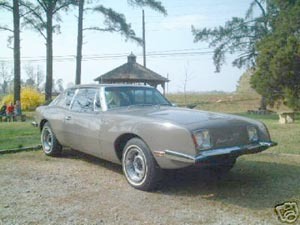 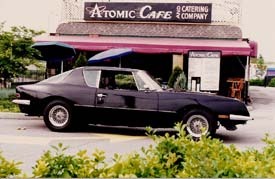 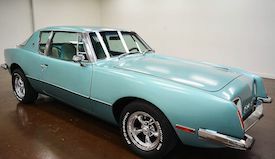 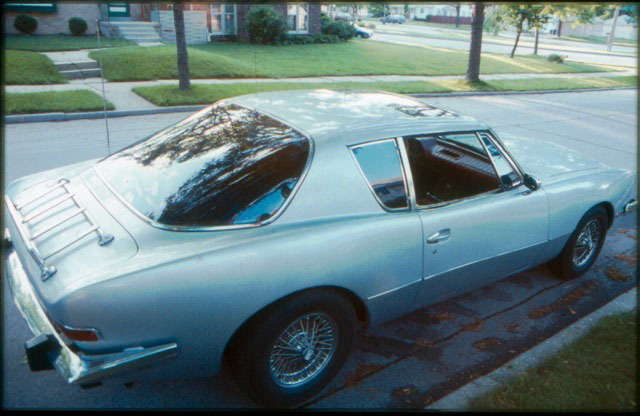 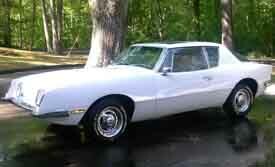 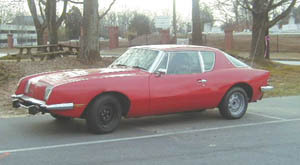 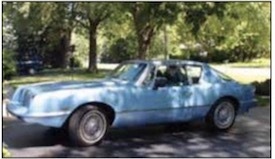 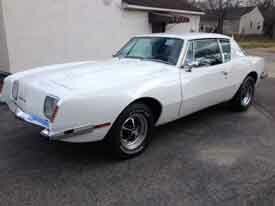 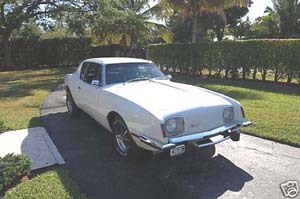 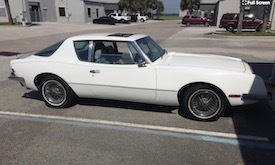 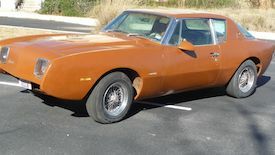 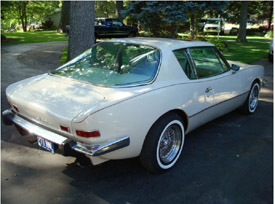 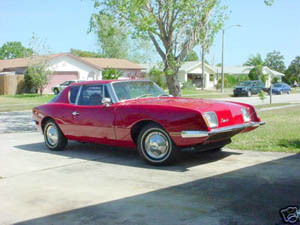 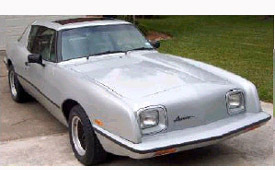 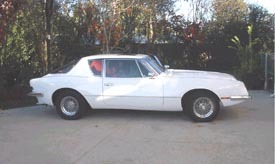 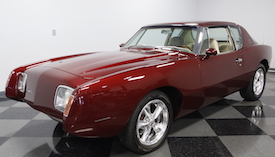 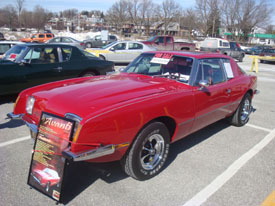 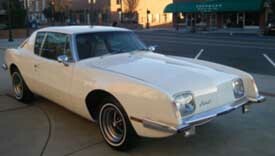 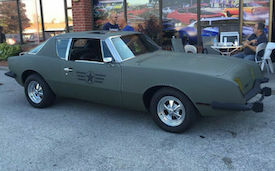 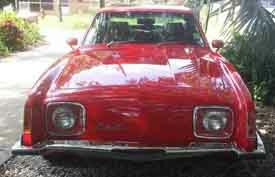 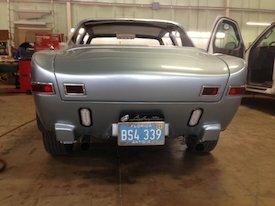 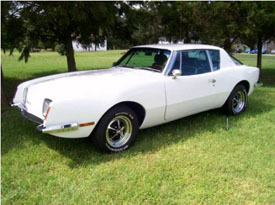 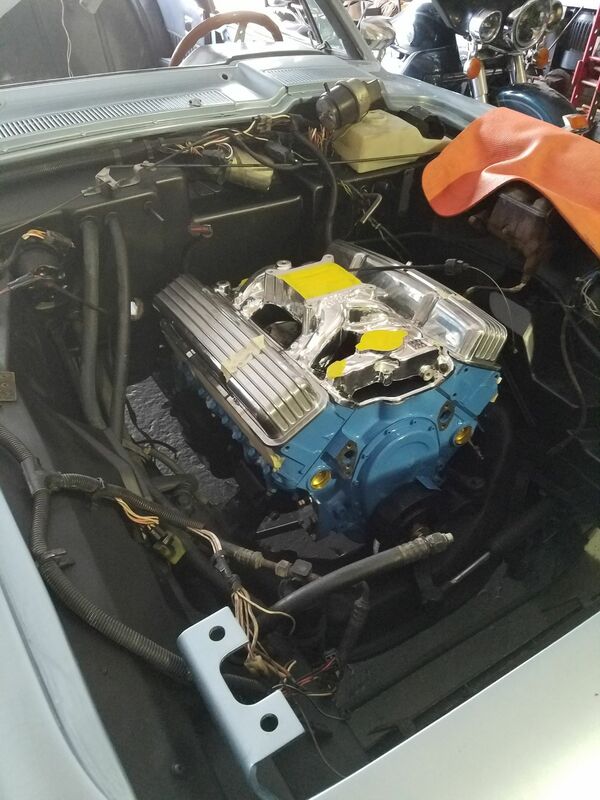 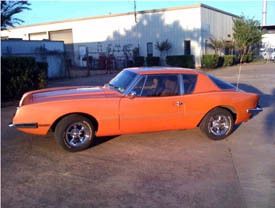 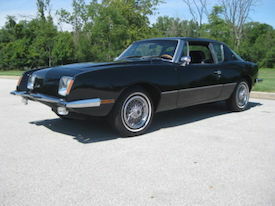 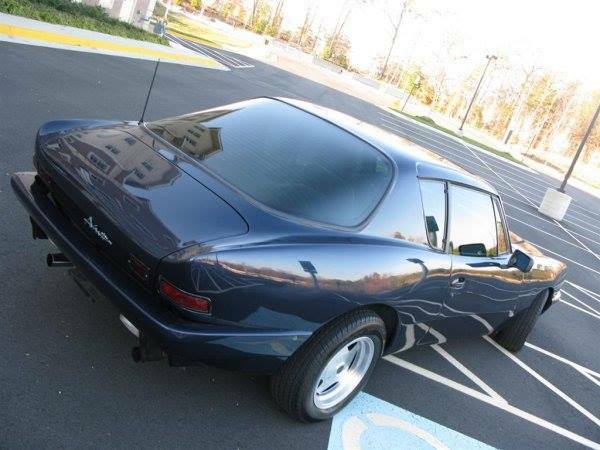 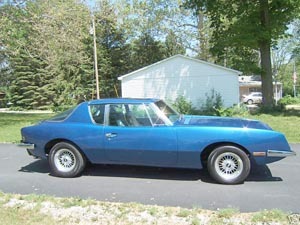 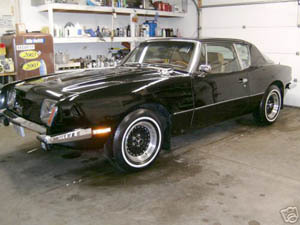 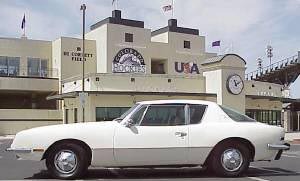 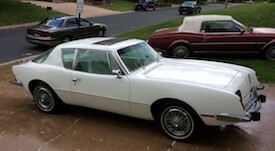 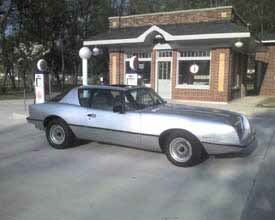 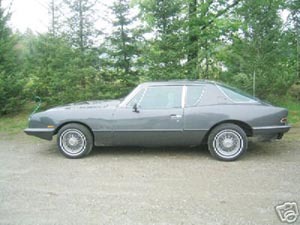 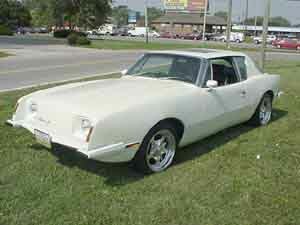 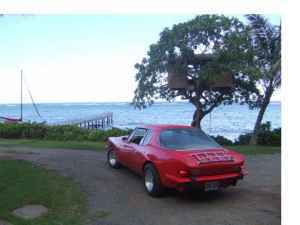 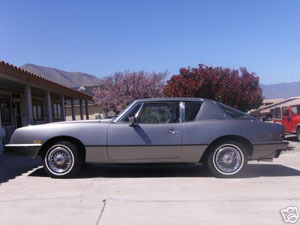 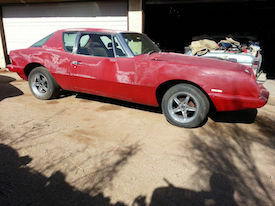 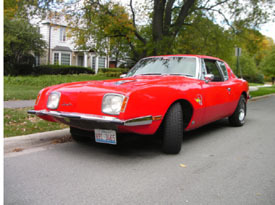 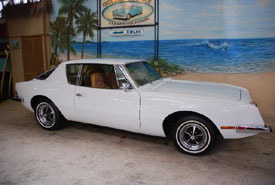 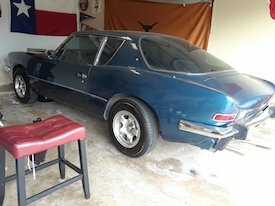 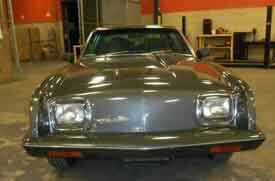 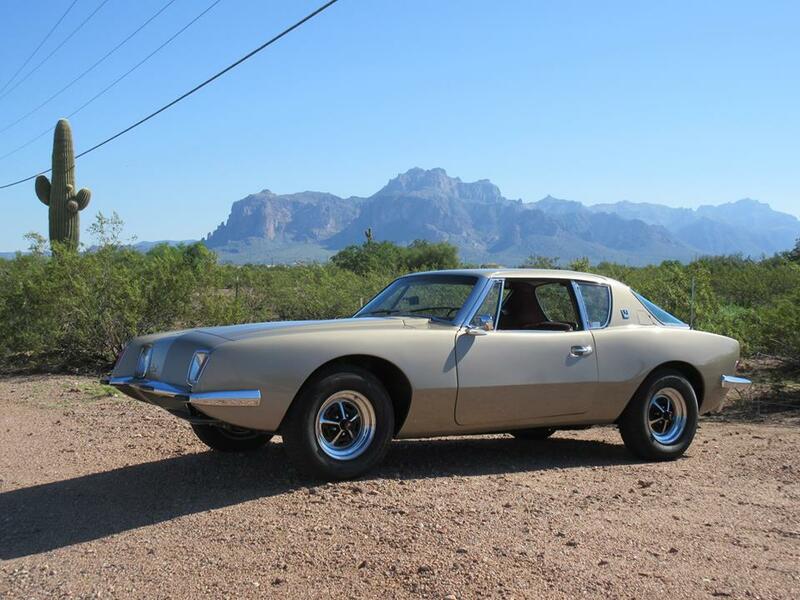 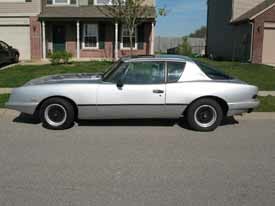 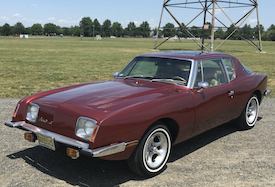 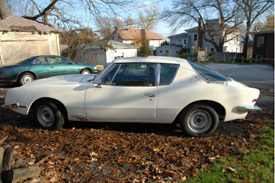 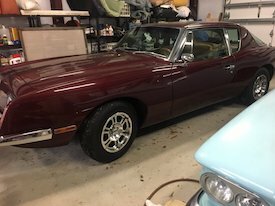 Very low mile 41,000 original car rare factory sunroof, cold air conditioning leather Corvette 350 4BBL. 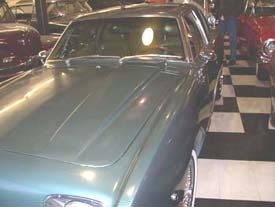 One of 160 produced real wire wheels AM/FM cassette. 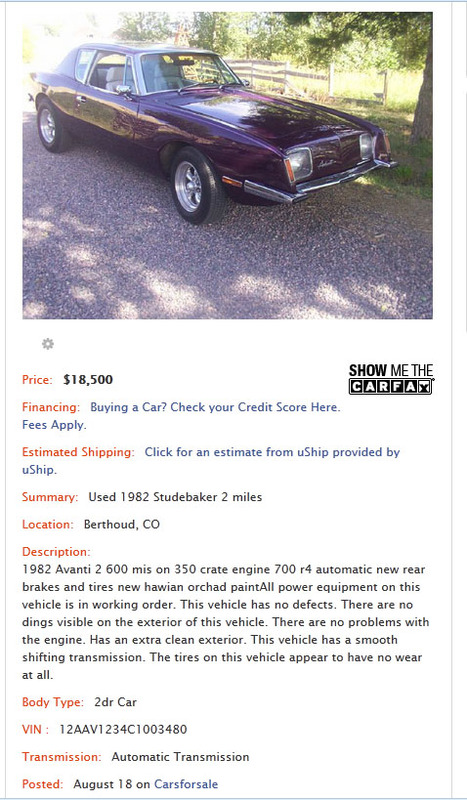 Just a great all around driving car mileage is documented. 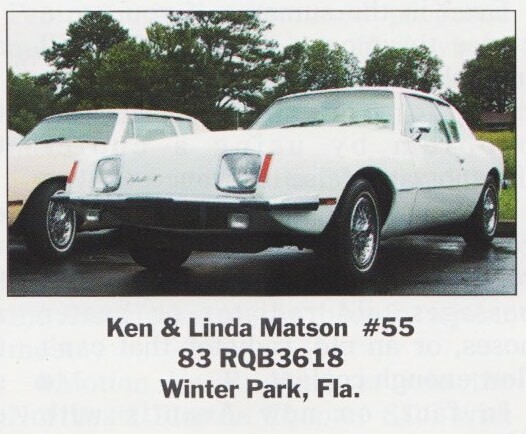 1980 RQB-3164 - Rick Wilson, Parrish, FL - For Sale - Oct 2017 Ref . 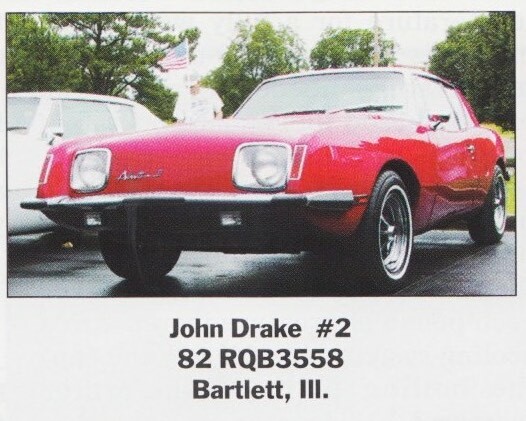 - No Data . .
1981 RQB-3309 - Duane B. Carlson, New Brighton, MN - (09062017) Ref . 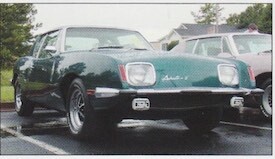 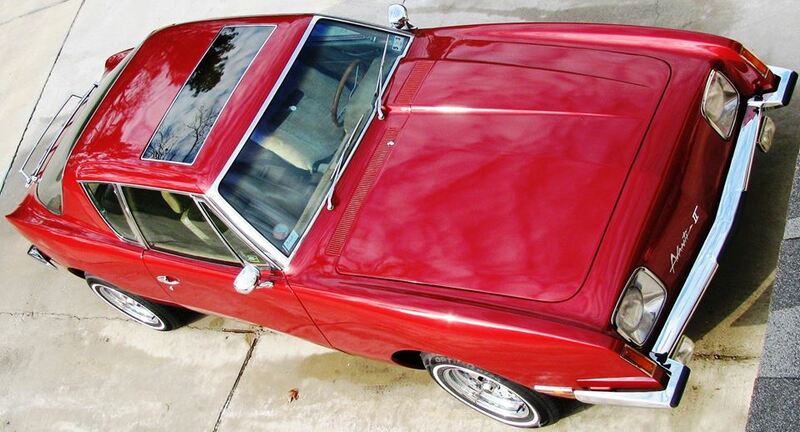 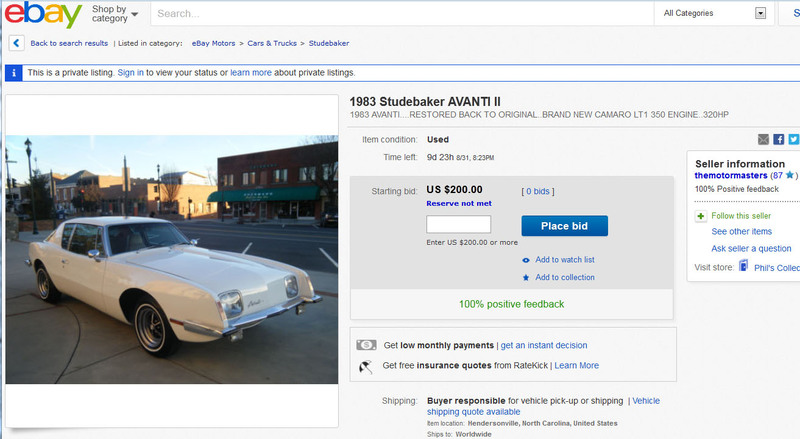 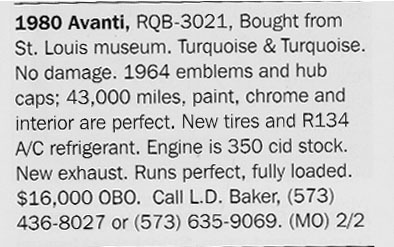 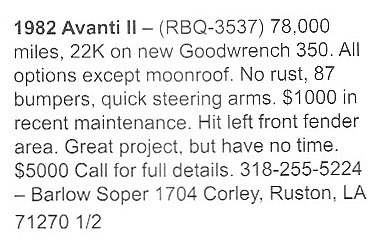 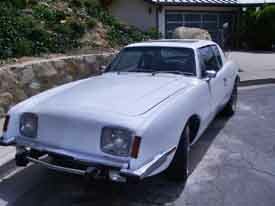 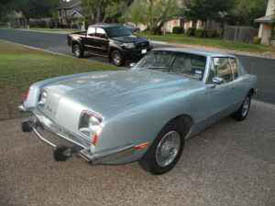 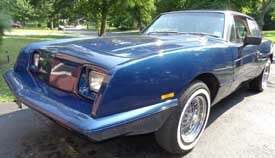 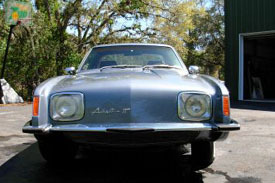 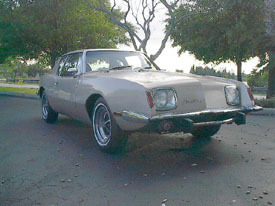 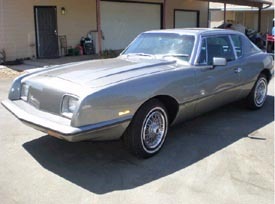 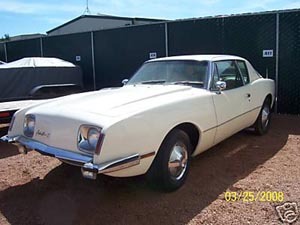 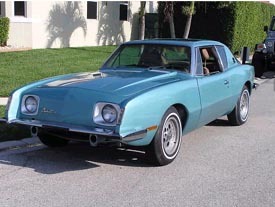 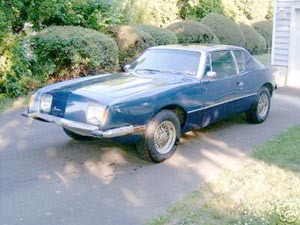 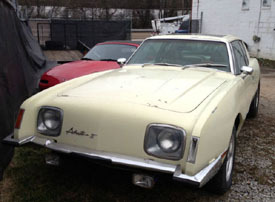 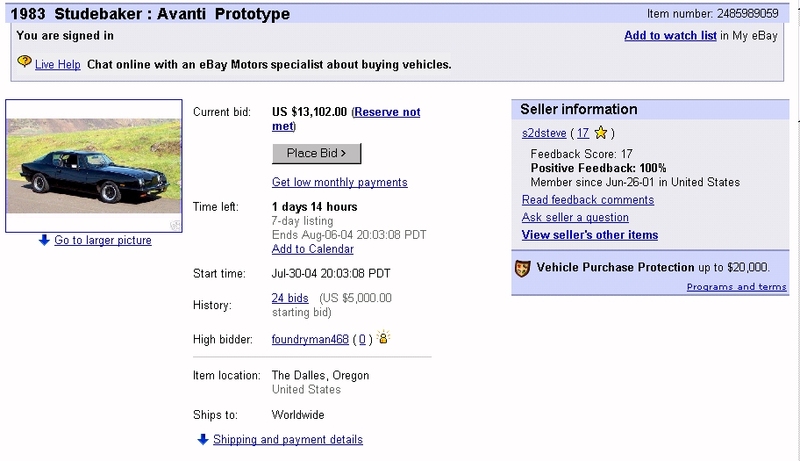 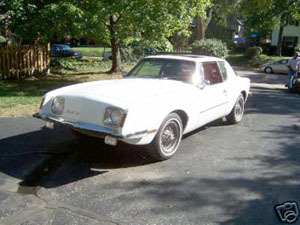 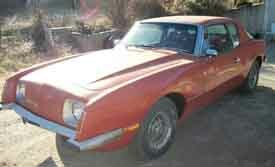 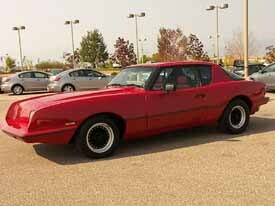 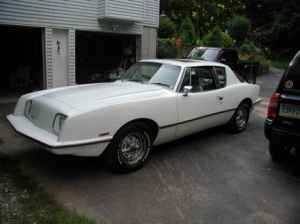 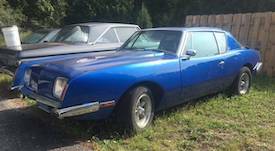 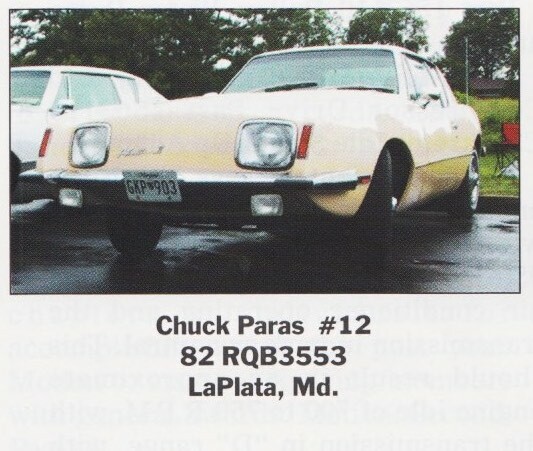 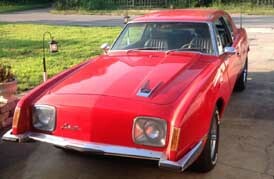 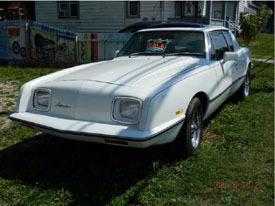 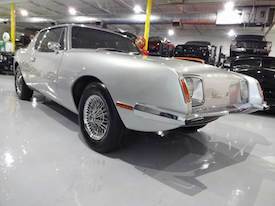 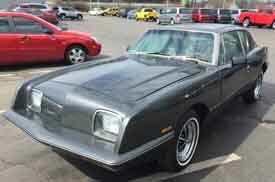 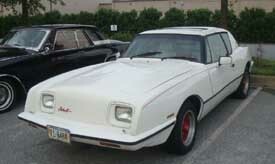 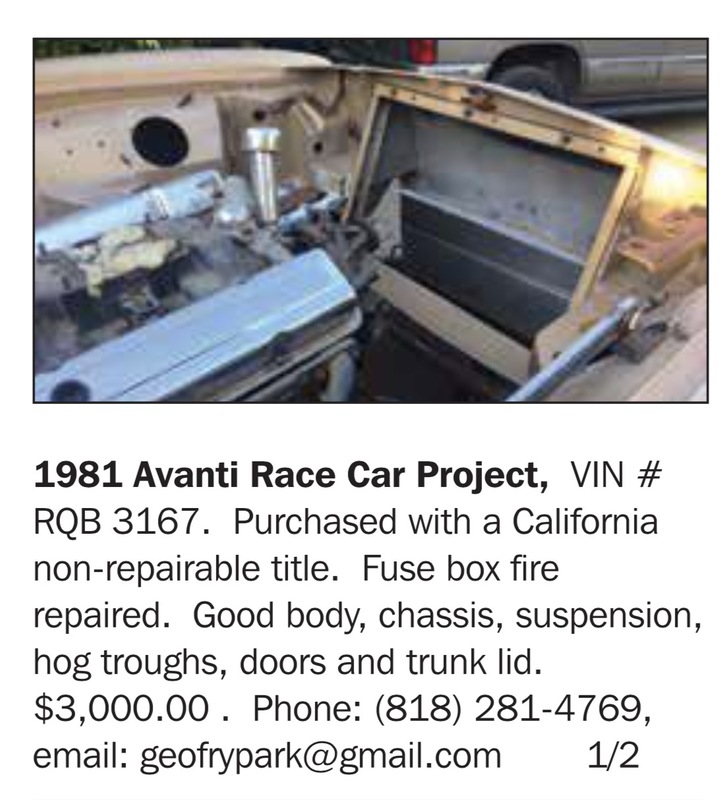 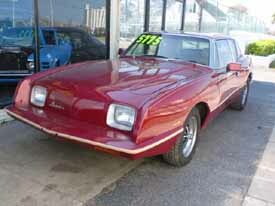 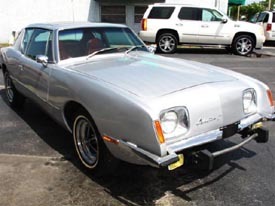 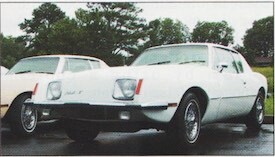 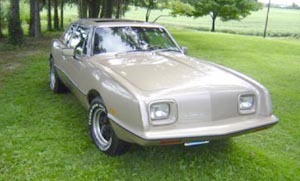 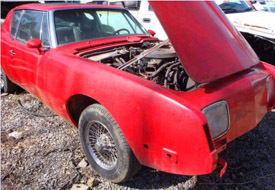 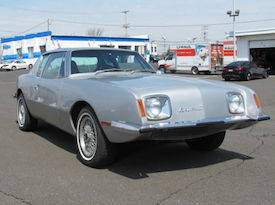 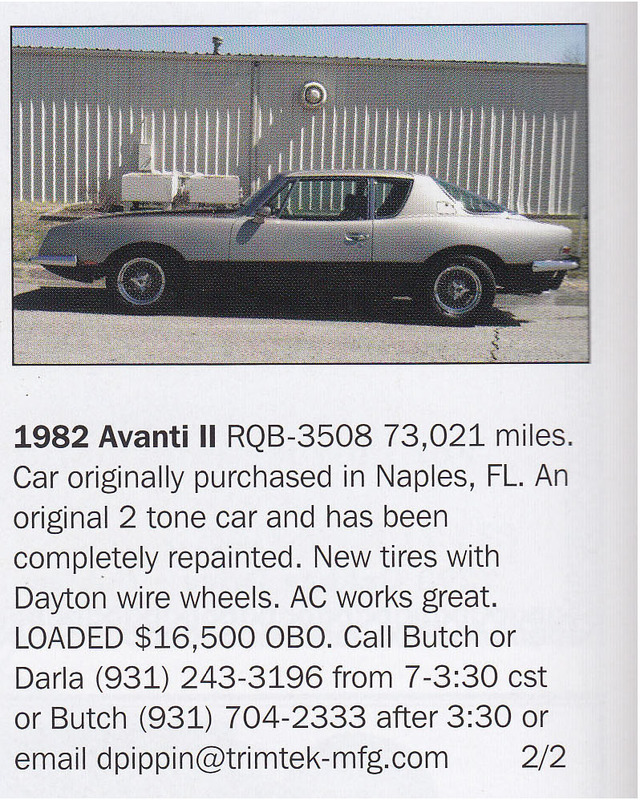 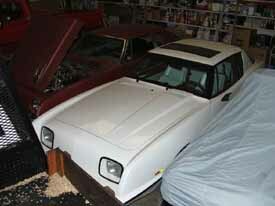 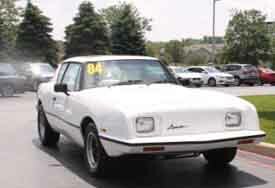 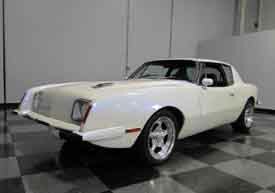 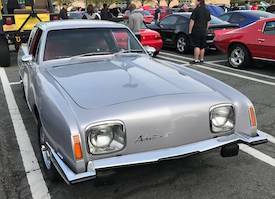 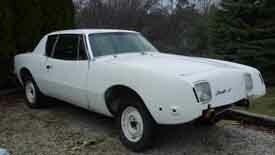 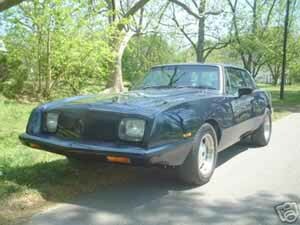 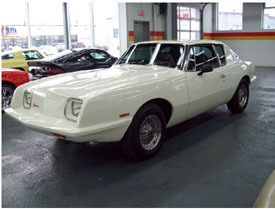 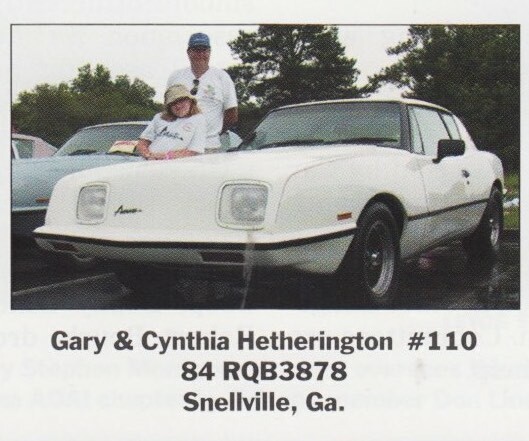 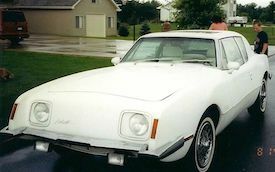 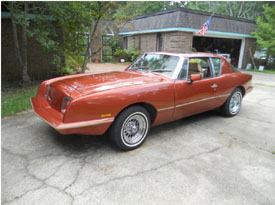 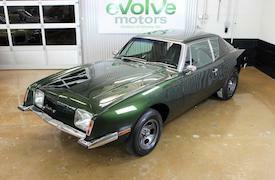 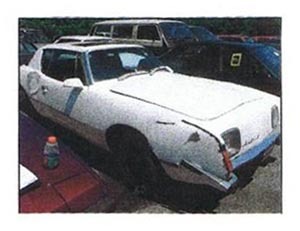 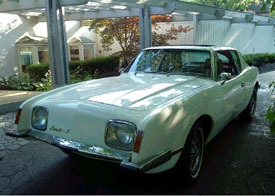 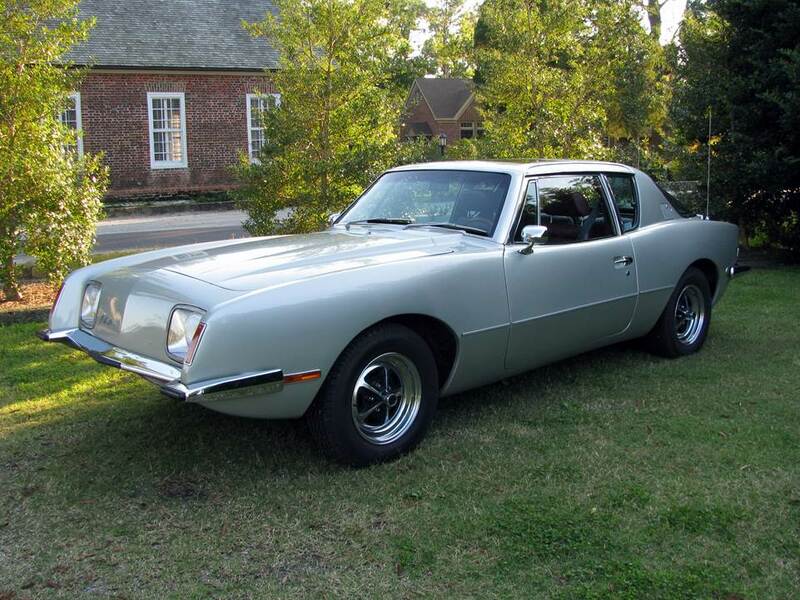 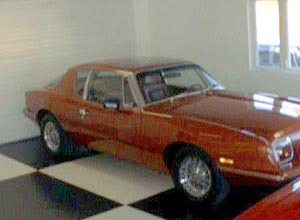 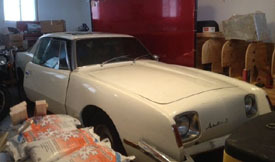 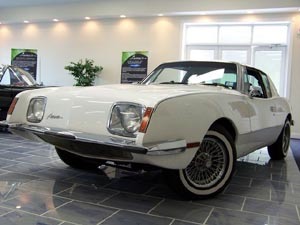 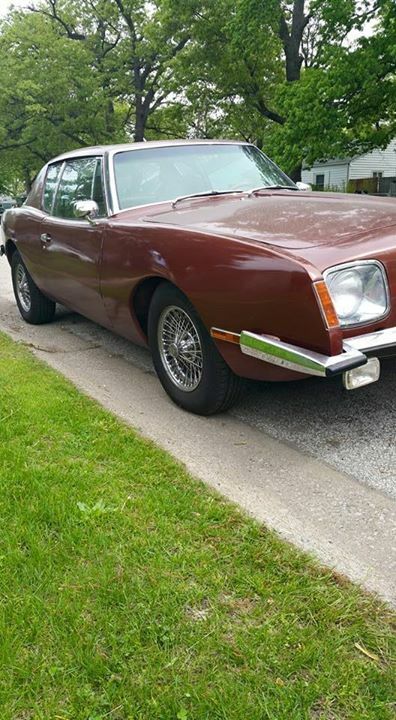 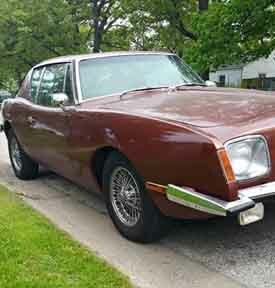 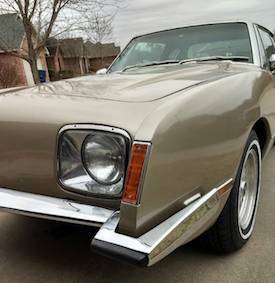 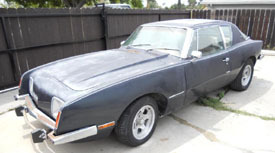 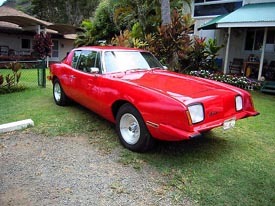 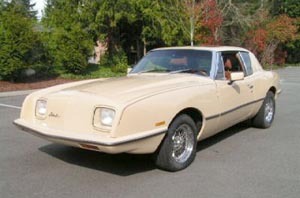 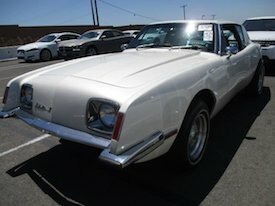 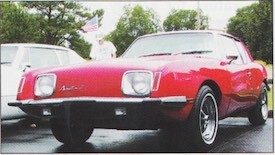 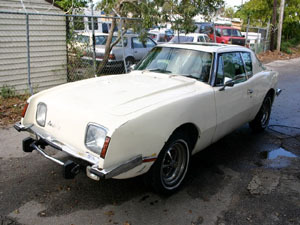 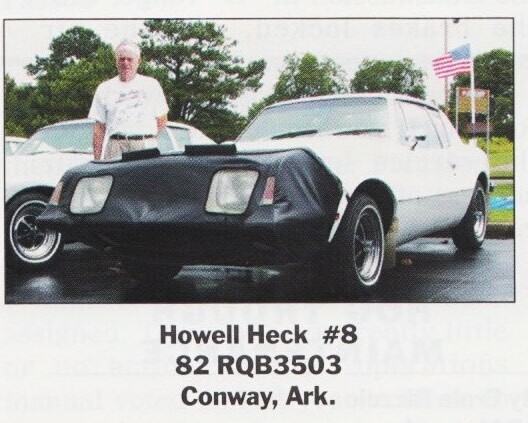 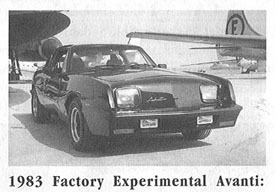 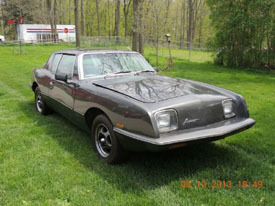 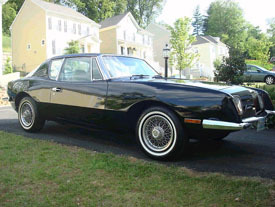 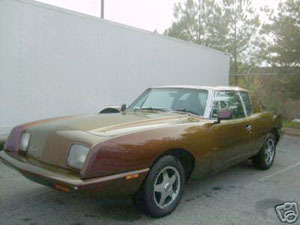 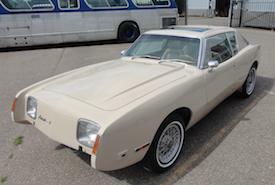 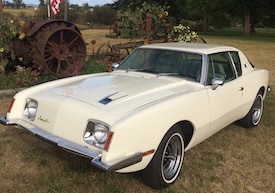 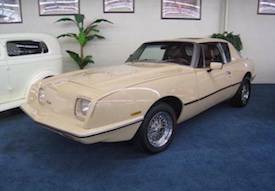 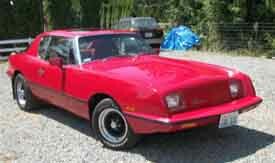 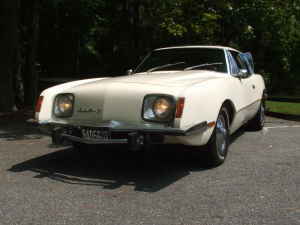 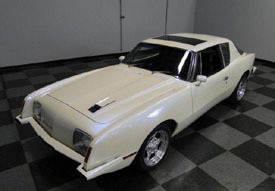 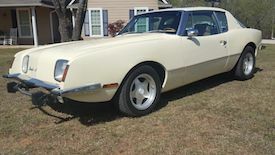 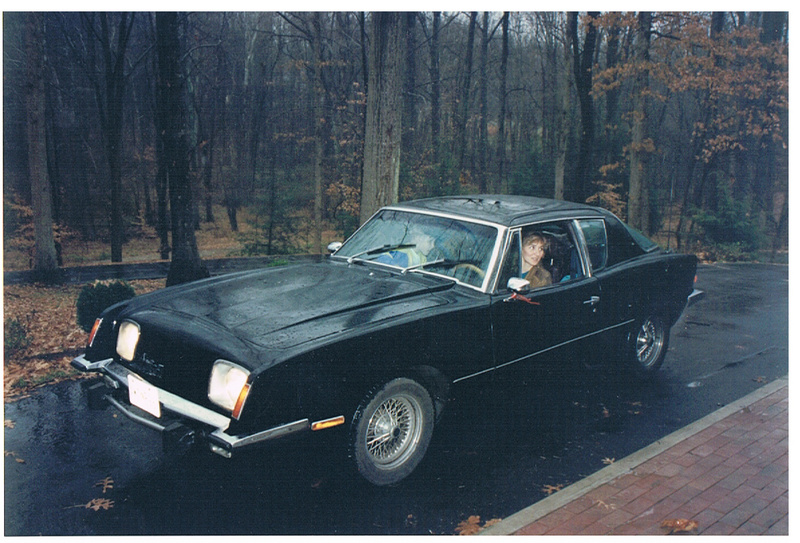 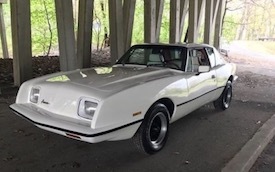 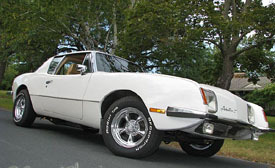 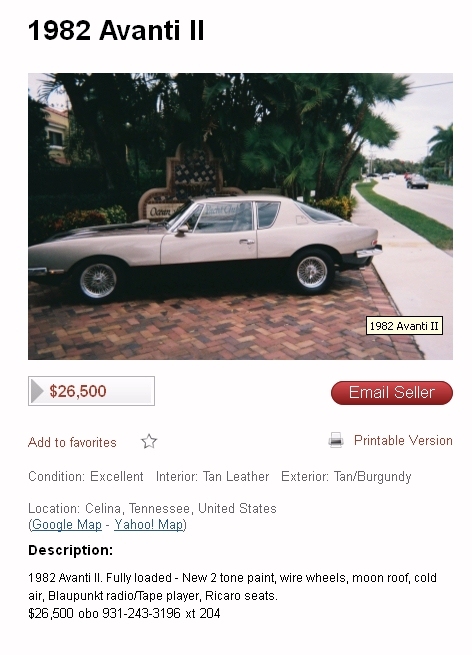 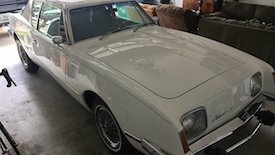 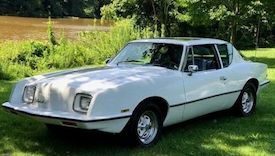 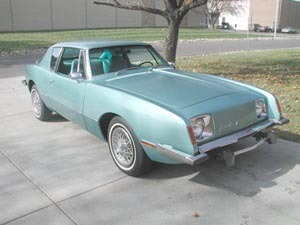 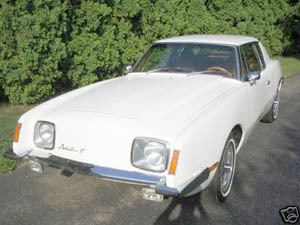 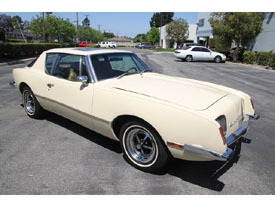 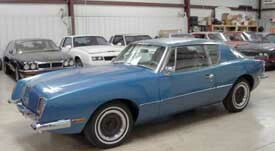 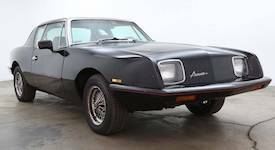 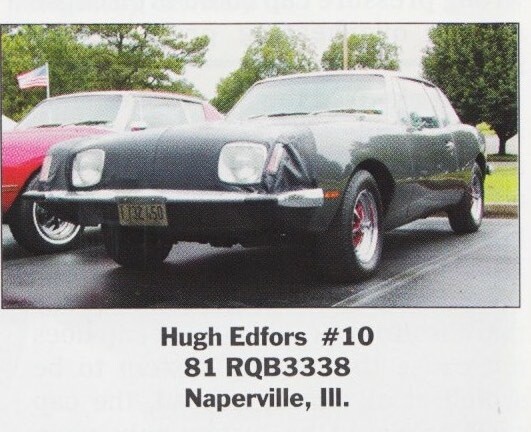 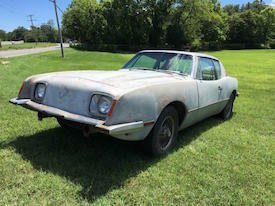 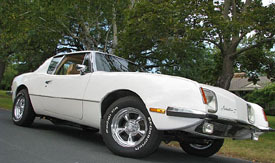 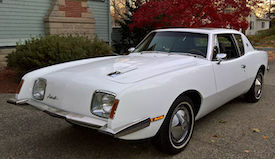 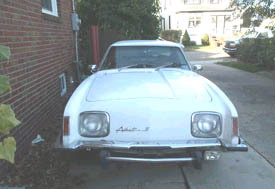 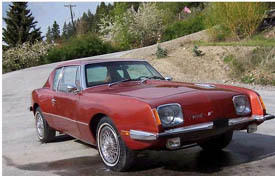 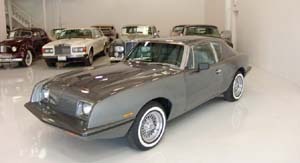 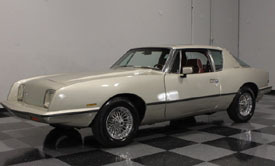 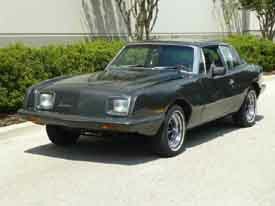 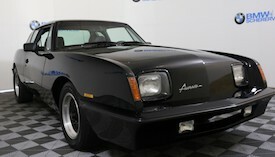 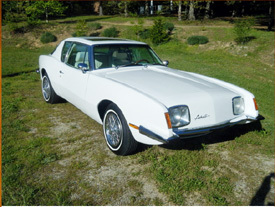 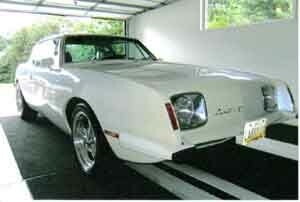 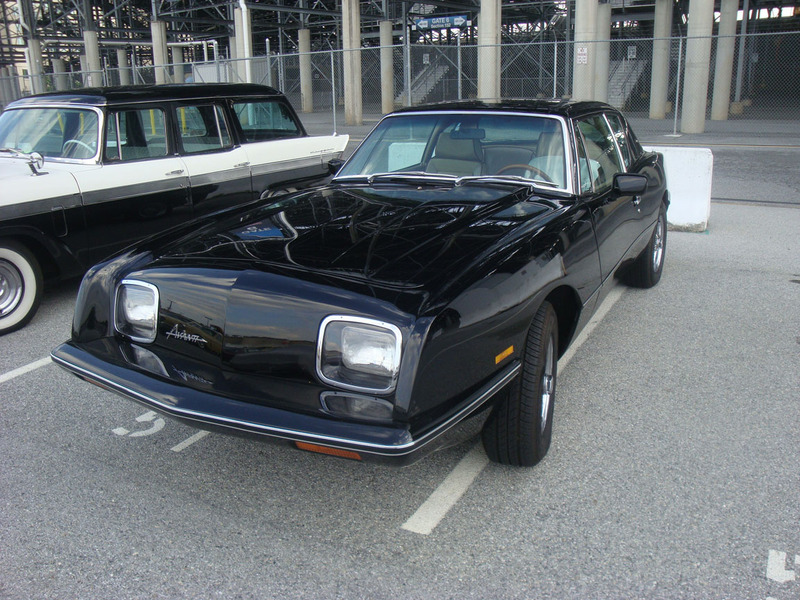 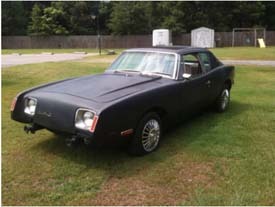 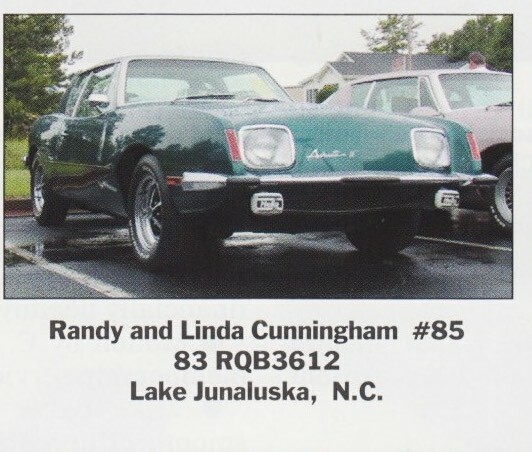 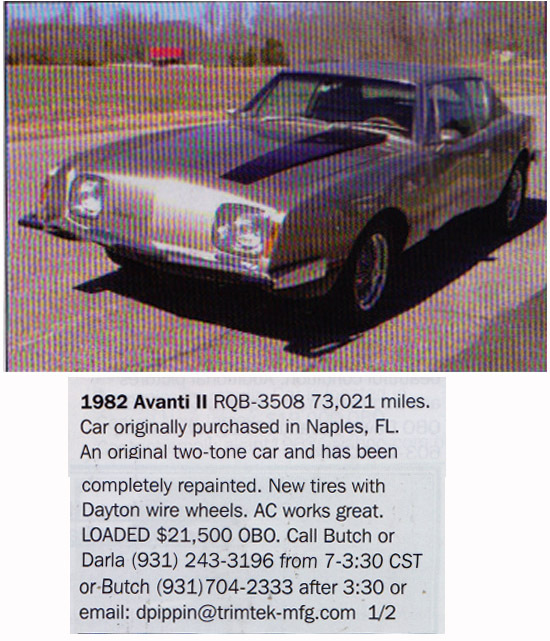 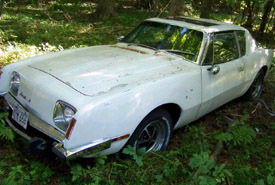 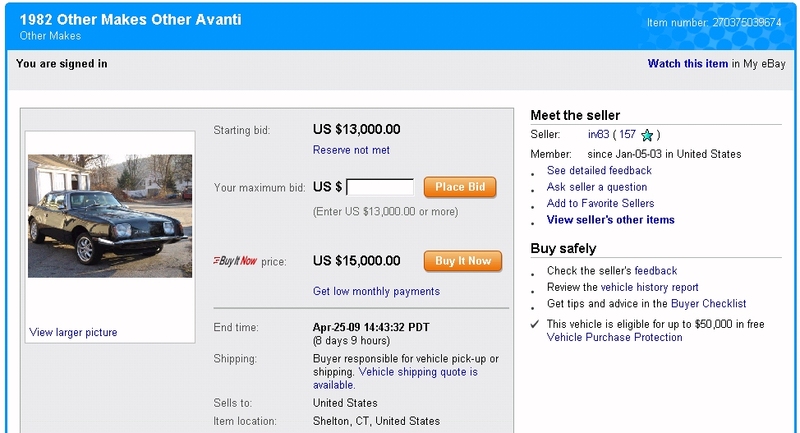 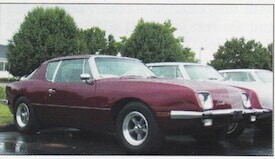 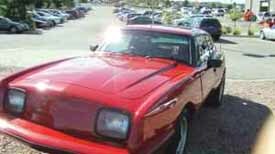 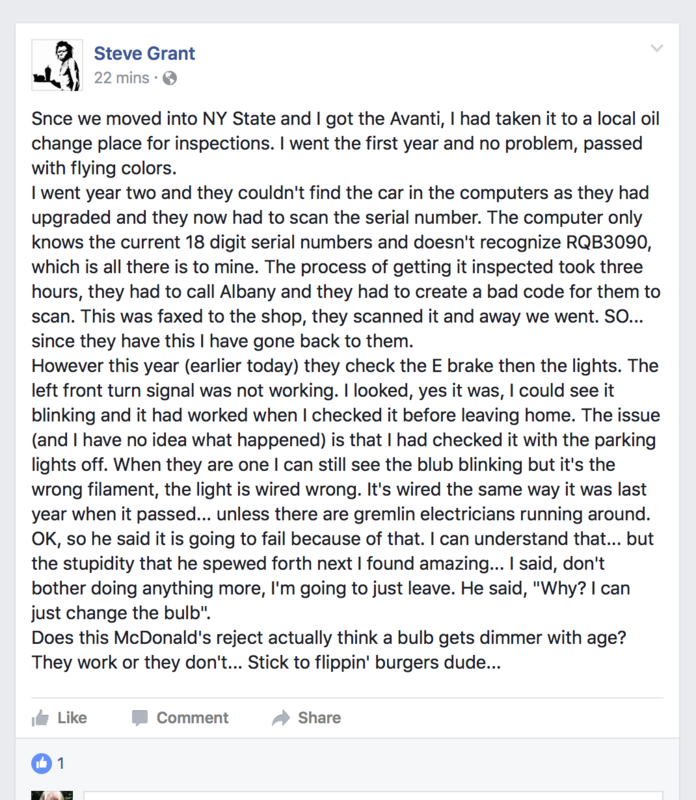 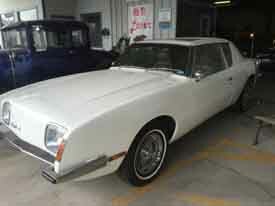 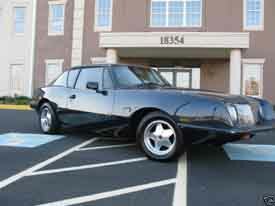 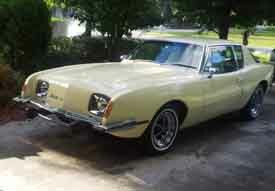 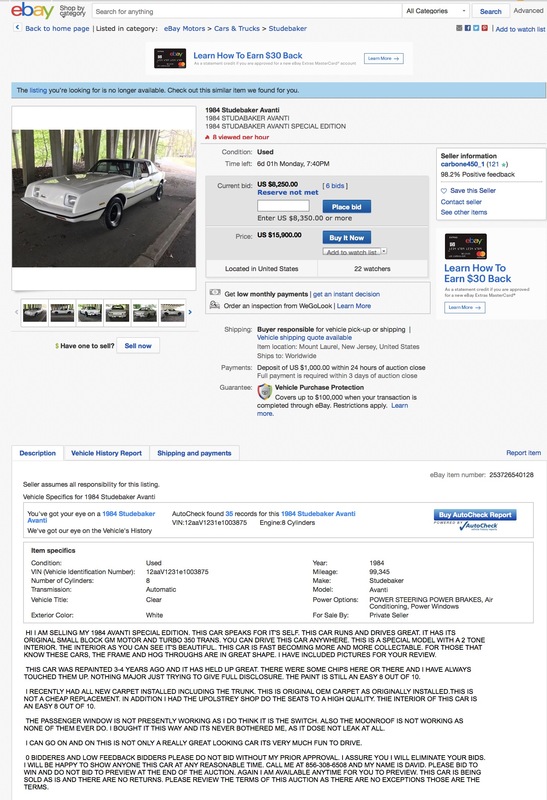 RQB-3370 - ( Reportedly the first 1982 Avanti produced) ref..
Email from dealer gives 1984 VIN with an 82 year number? 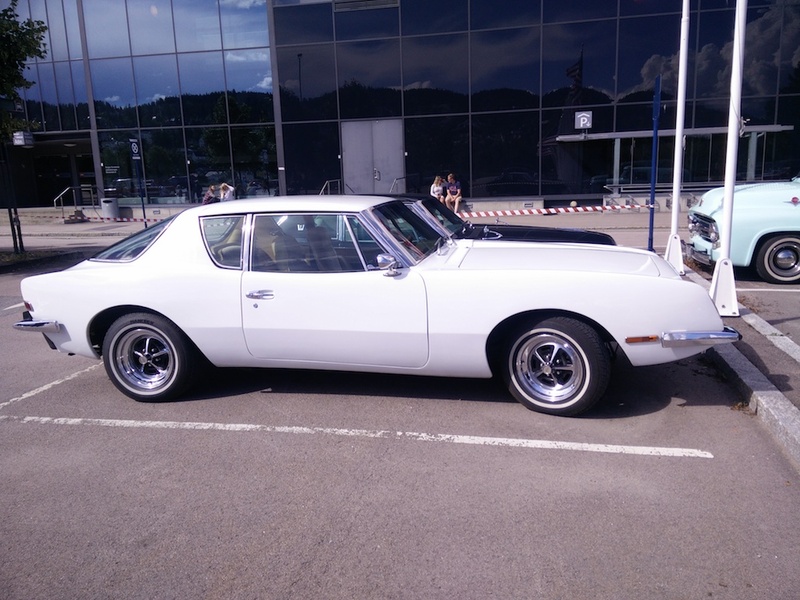 (BRitz), AOAI Forum - Aug 2017 Ref . 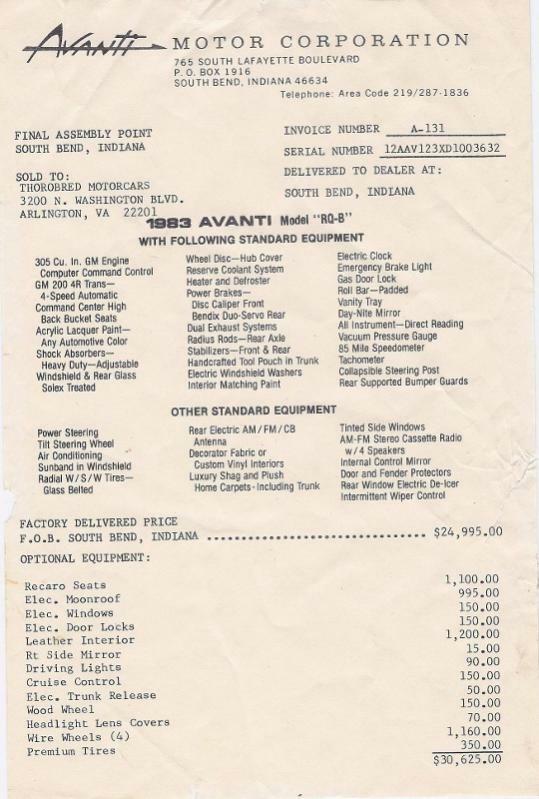 I have the original window sticker and it says that it cost $29,895.00 new. 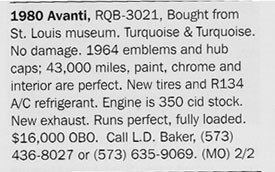 RQB-3664 - John Stewart, Loudonville, N.Y. 12211 - 2011 - 28 Sept 2001 - Purchased June 2001. 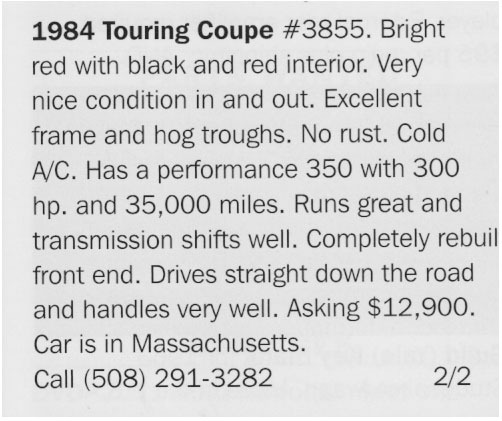 Car has 33,000 miles. 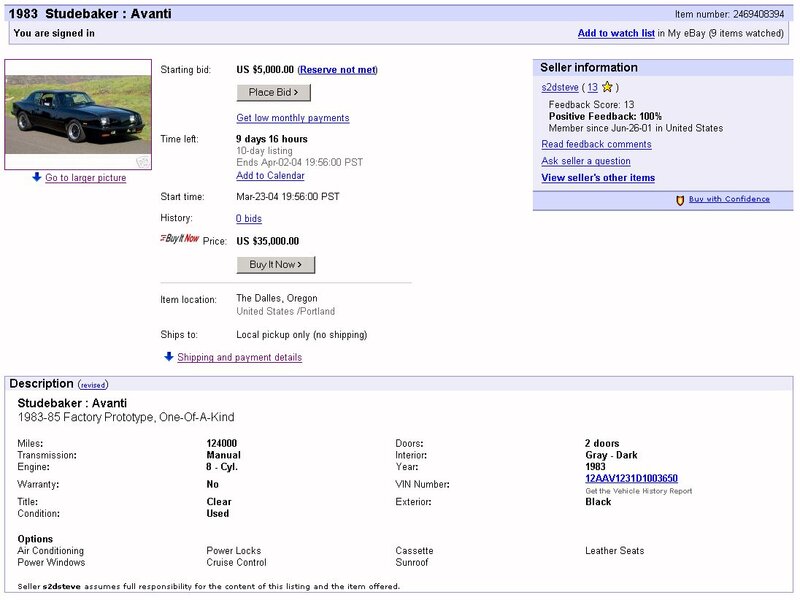 RQB-3737 - Brian Breeding, New Haven Connecticut - April 2008 - ? 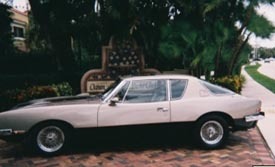 Mike Valenti, Pompano Beach, FL - June 2007 -? 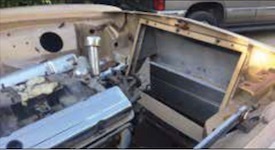 305 ci/ Chevy eng, Paxton SN2000 supercharger, Holley "650"
The airbox is high enough to imprint the image of its top in the hood insulation pad but the hood will (if just barely) close properly. 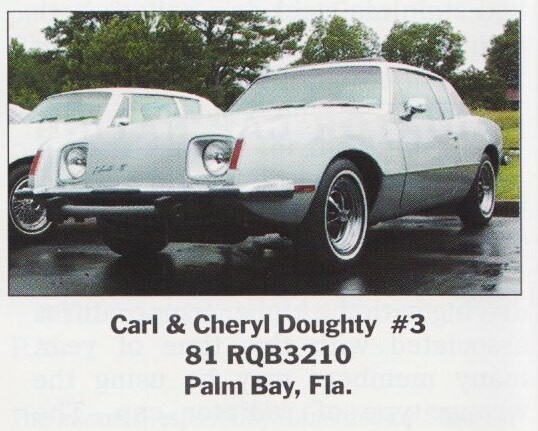 RQB-377I is white/white, with red pinstriping, red dash and carpets and red piping on the seats.